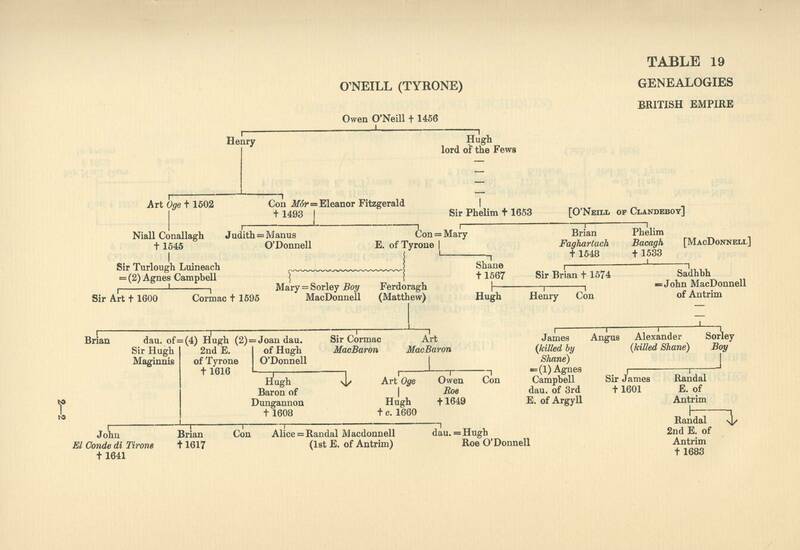 PART I. GENEALOGICAL TABLES OF RULING AND NOBLE HOUSES.
" 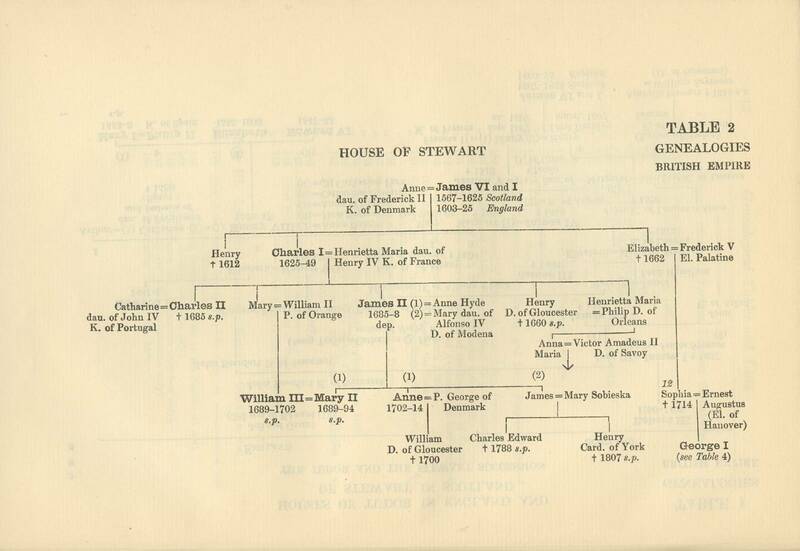 2	House of Stewart.
" 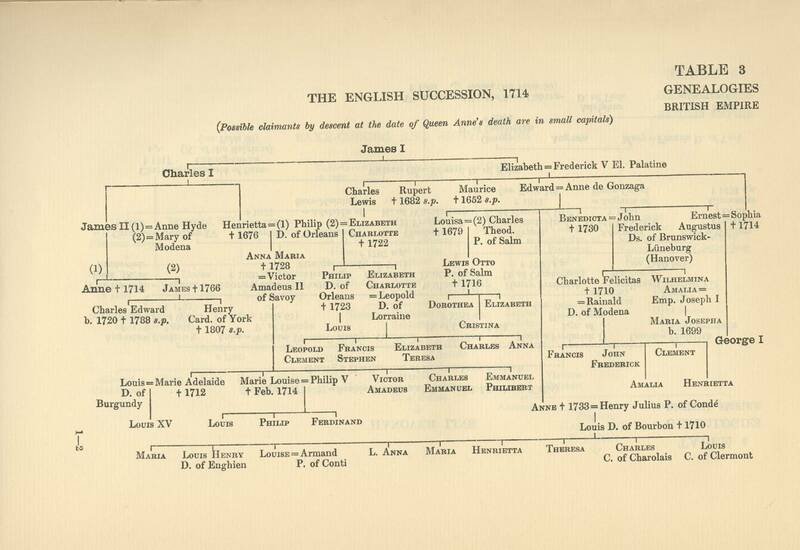 3	The English Succession, 1714.
" 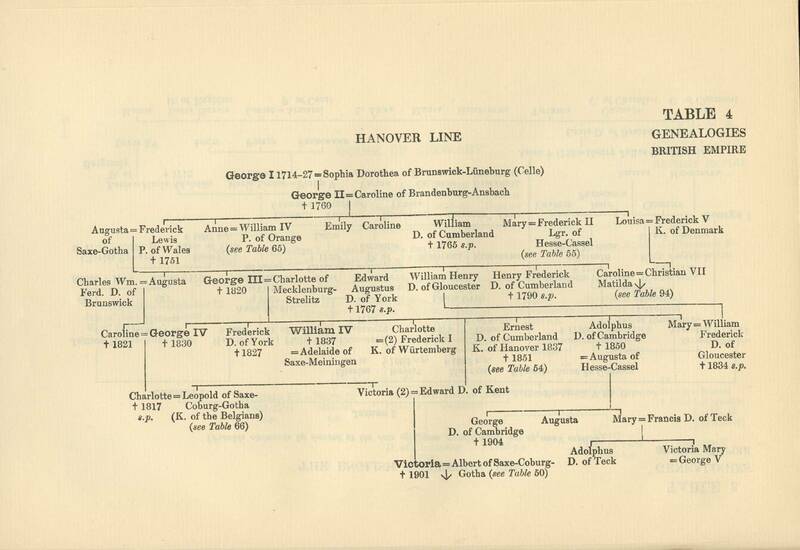 5	Saxe-Coburg and -Gotha line.
" 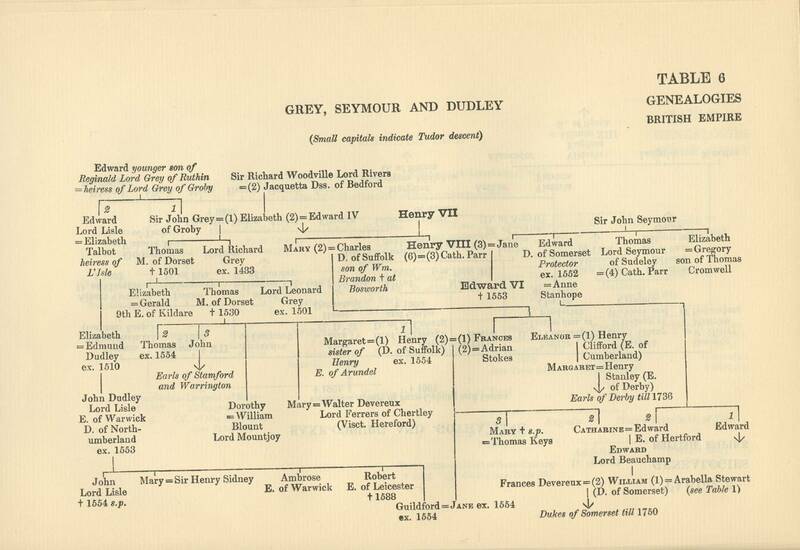 6	Grey, Seymour and Dudley.
" 7	Howard and Dacre.
" 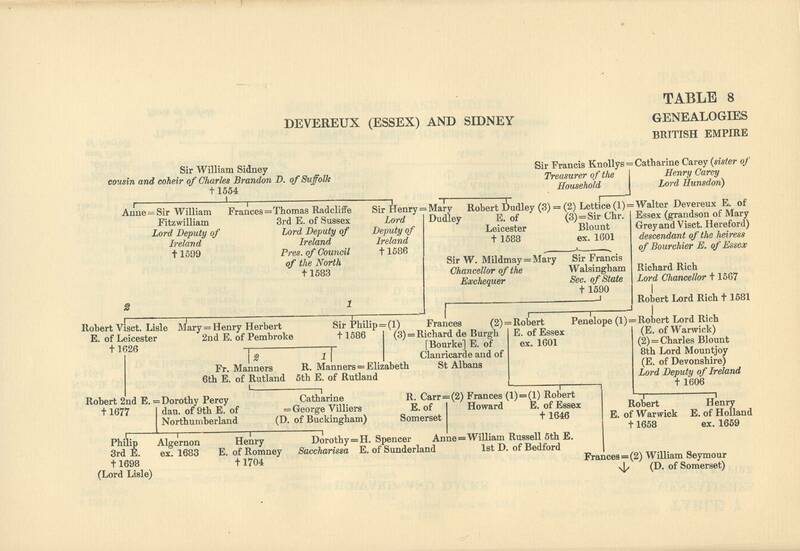 8	Devereux (Essex) and Sidney.
" 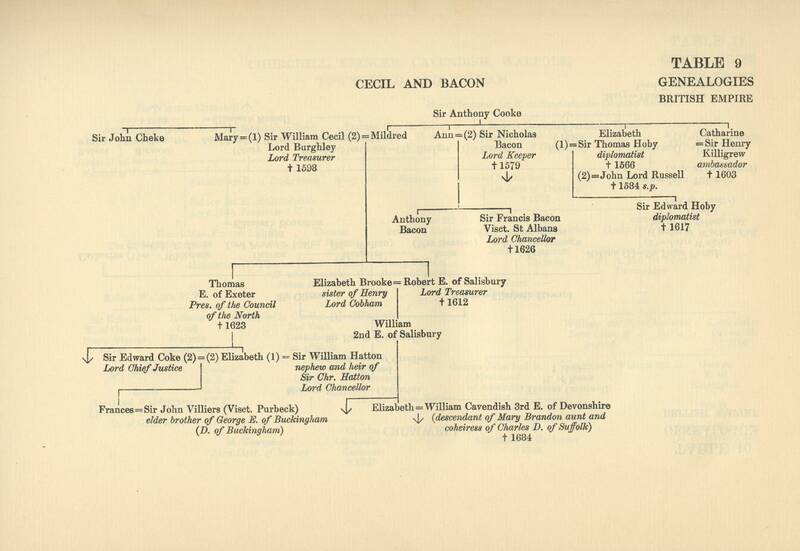 9	Cecil and Bacon.
" 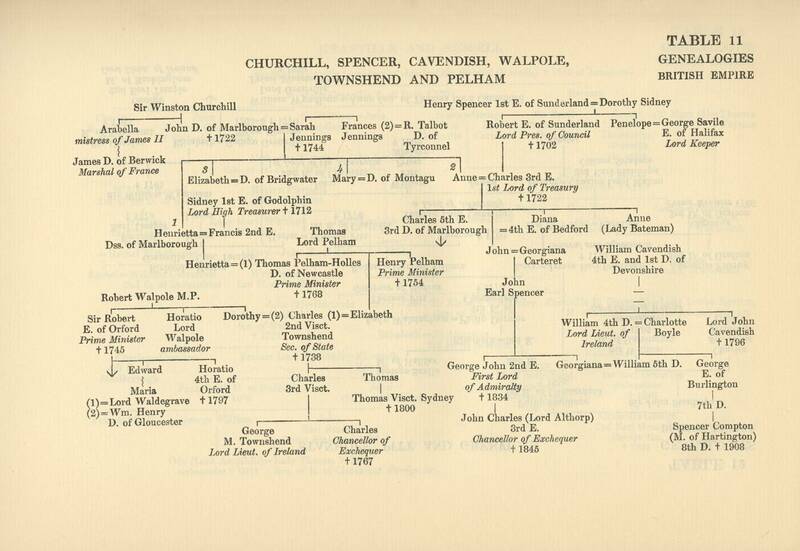 11	Churchill, Spencer, Cavendish, Walpole, Townshend, and Pelham.
" 12	Stanhope, Pitt, and Grenville.
" 13	Granville and Russell.
" 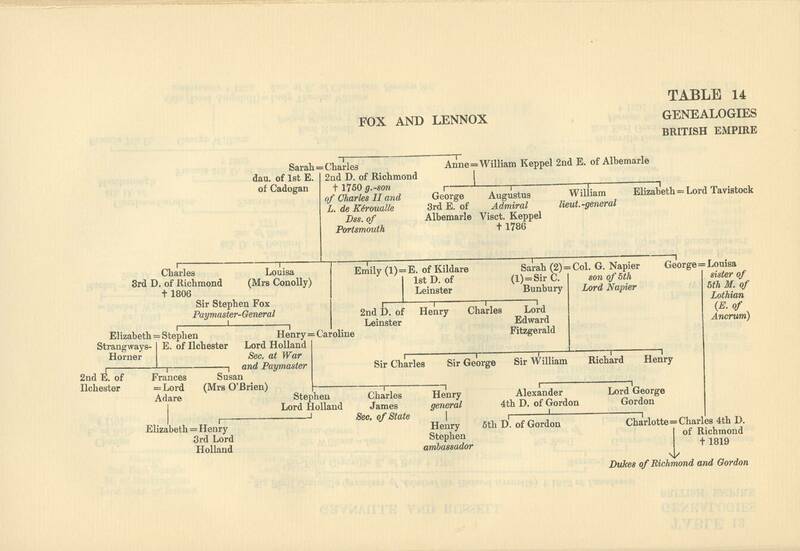 14	Fox and Lennox.
" 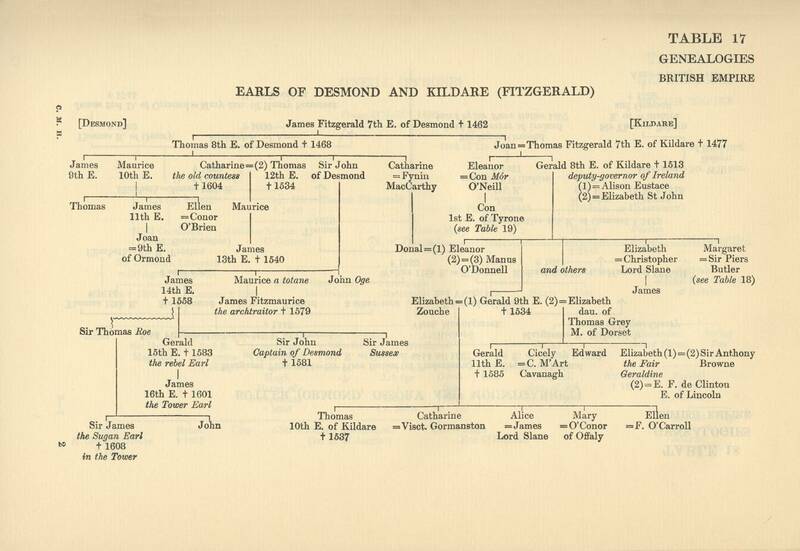 17	Earls of Desmond and Kildare (Fitzgerald).
" 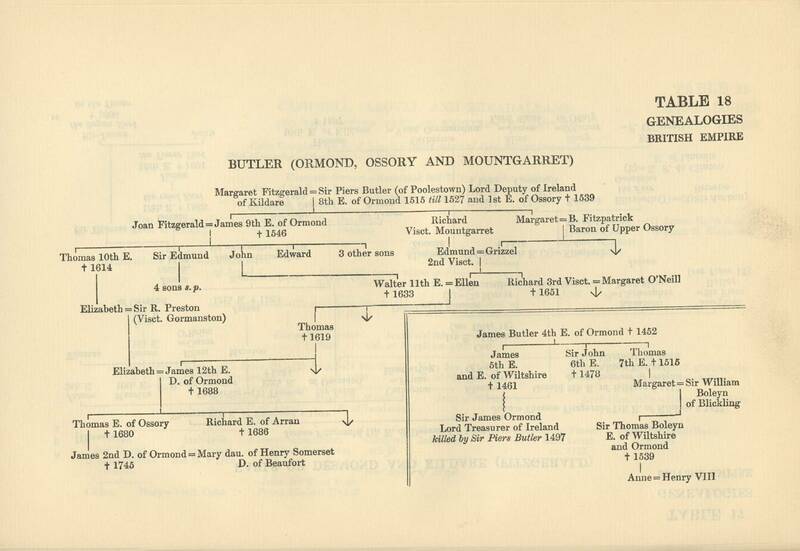 18	Butler (Ormond, Ossory, and Mountgarret).
" 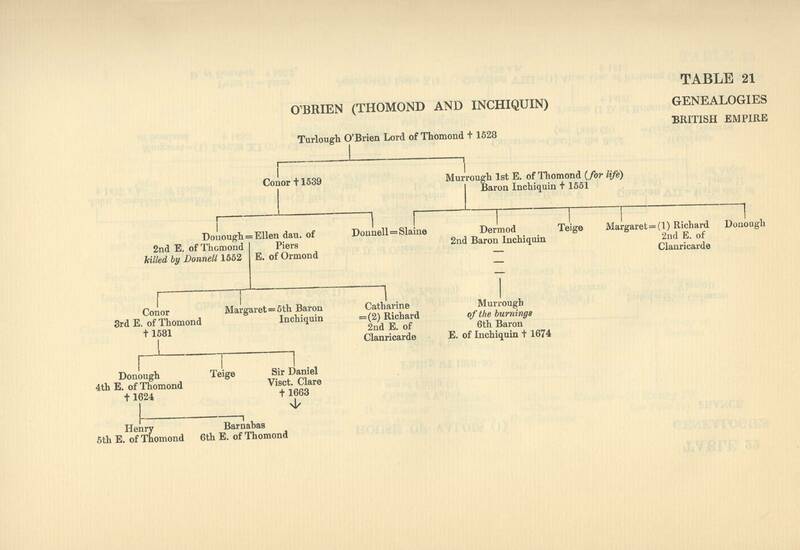 21	O'Brien (Thoinond and Inchiquin). 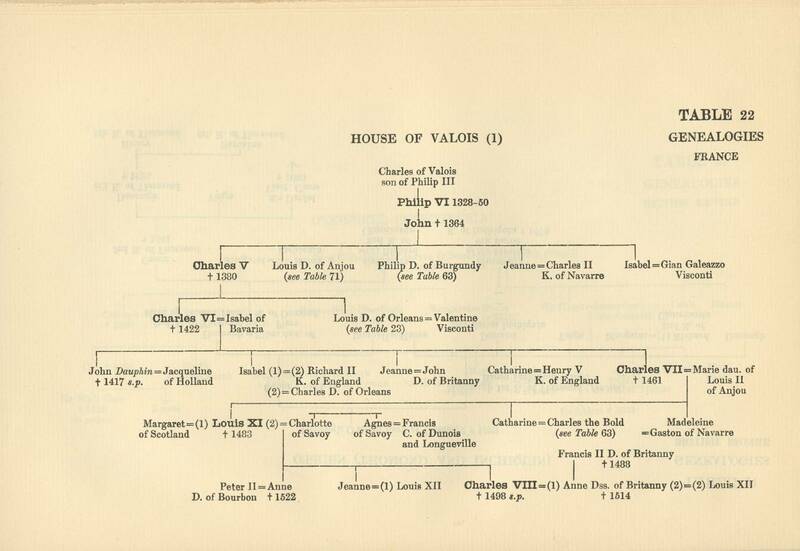 Table	22	House of Valois (1) to Charles VJII.
" 23	" (2) from Louis XII.
" 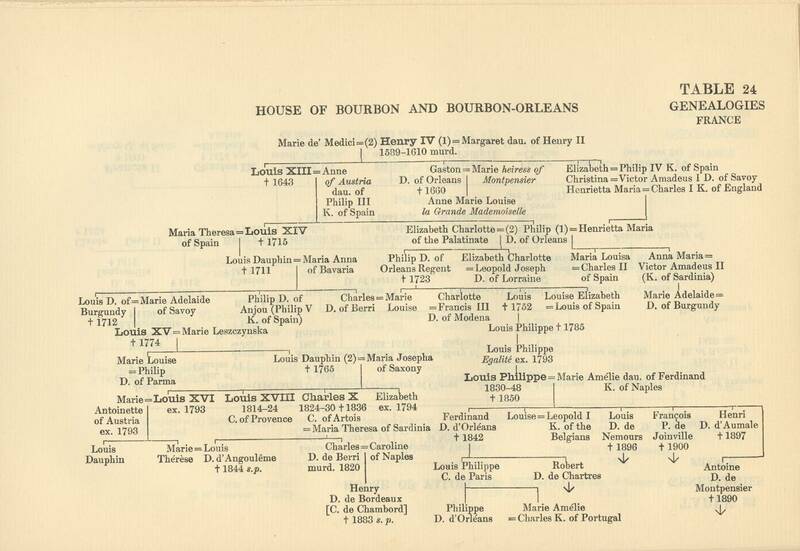 24	House of Bourbon and Bourbon-Orleans.
" 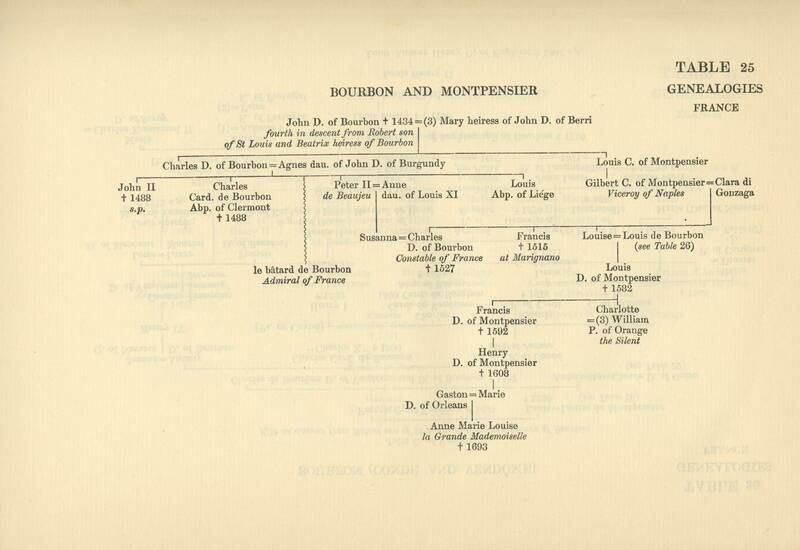 25	Bourbon and Montpensier.
" 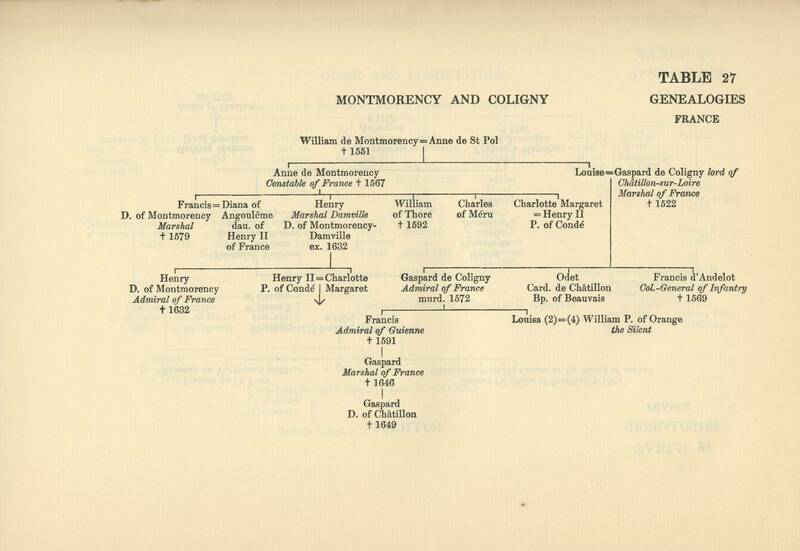 27	Montmorency and Coligny.
" 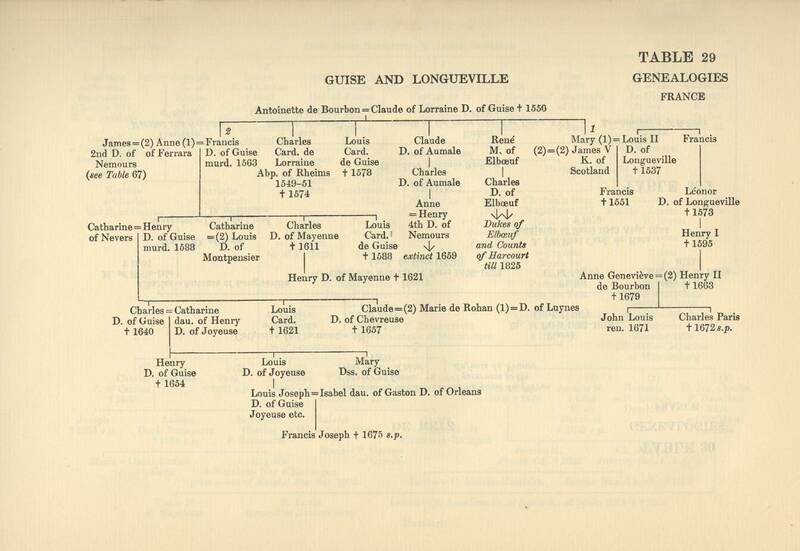 29	Guise and Longueville. C. The Empire and Austria. 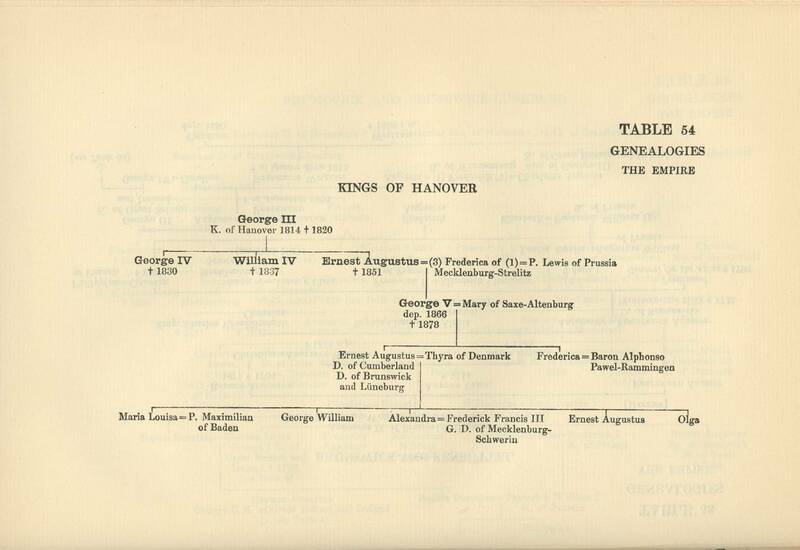 Table	32	House of Habsburg to Charles VI.
" 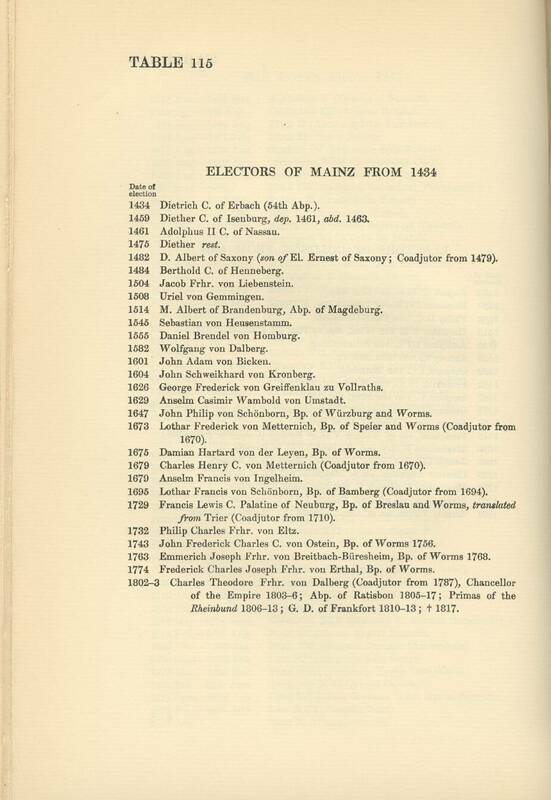 35	Electors of Brandenburg.
" 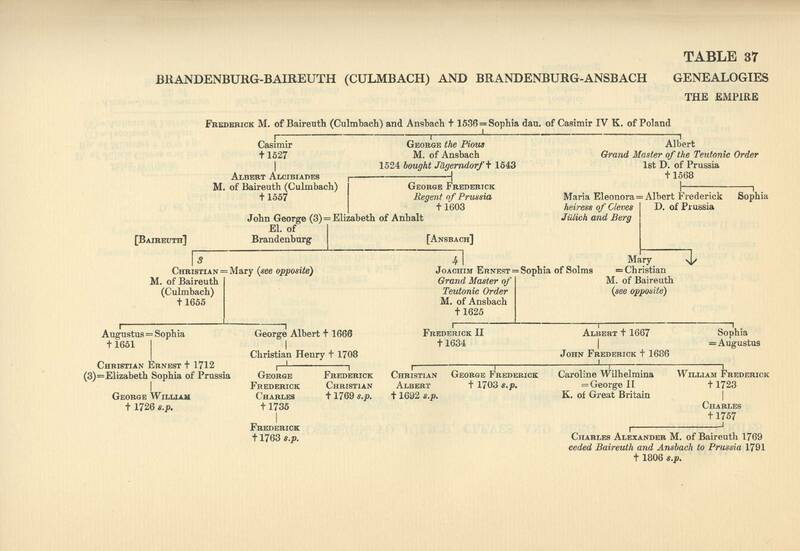 37	Brandenburg-Baireuth (Culmbach) and Brandenburg-Ansbach.
" 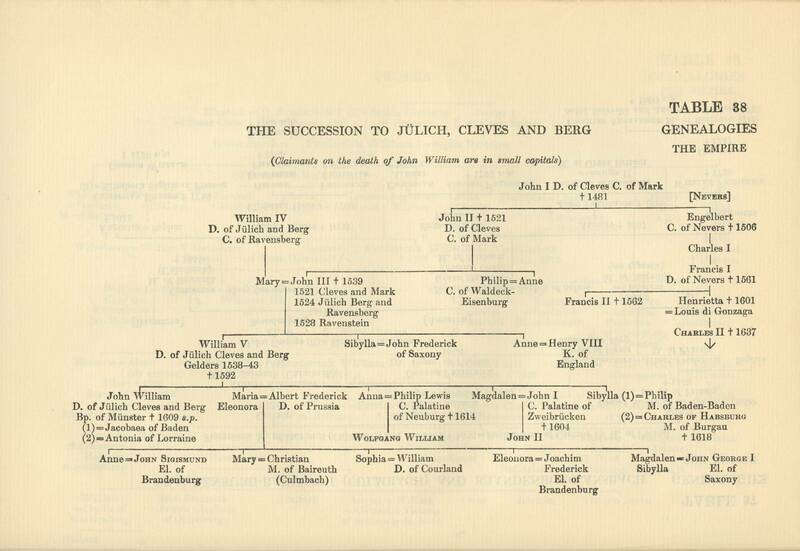 38	The Succession to Jülich, Cleves and Berg.
" 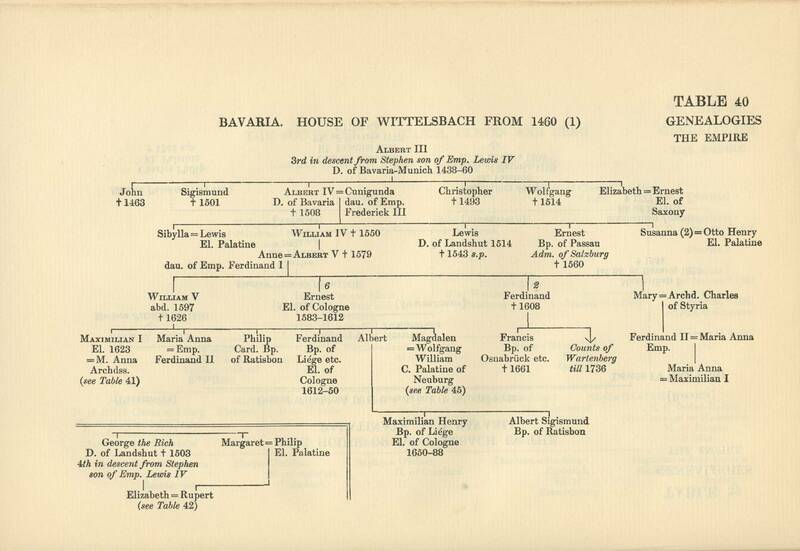 39	The House of Wittelsbach in the Palatinate and Bavaria.
" 40	Bavaria (1). 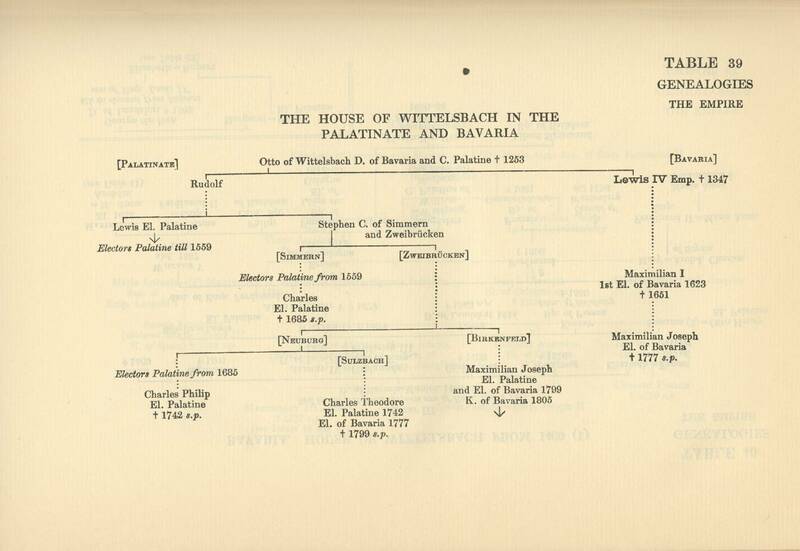 House of Wittelsbach from 1460.
" 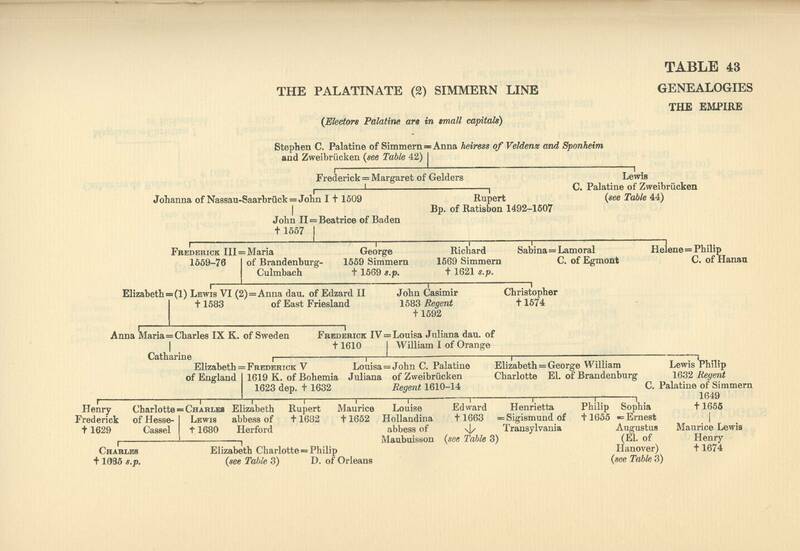 42	The Palatinate (1) old line.
" 43	(2) Simmern line.
" 44	(3) Zweibrücken line.
" 45	(4) Neuburg line.
" 46	(5) Sulzbach line.
" 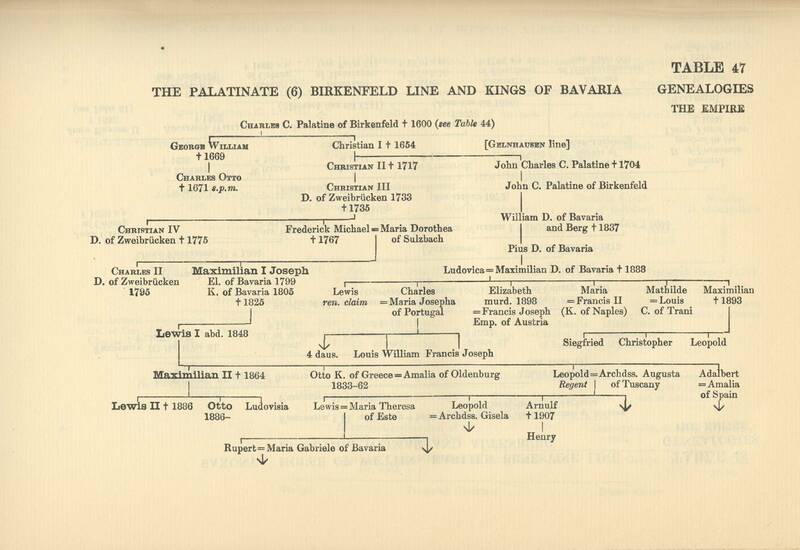 47	(6) Birkenfeld line and Kings of Bavaria.
" 48	Saxony. 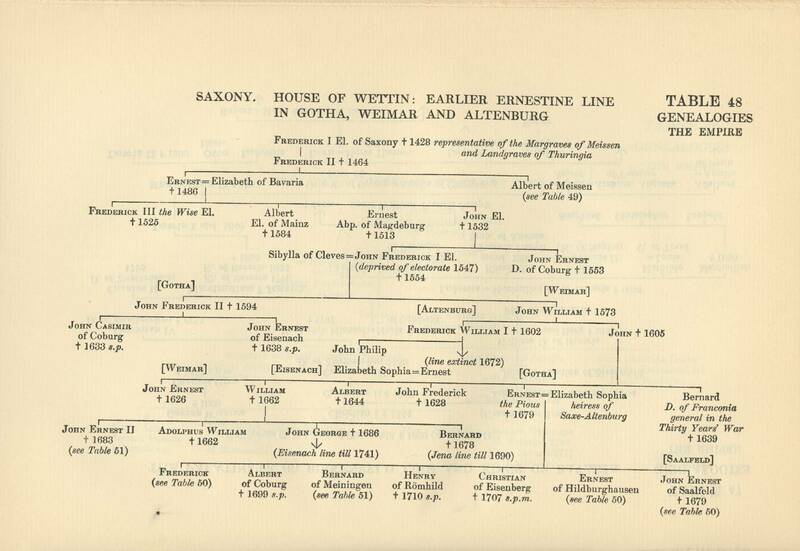 House of Wettin: earlier Ernestine line in Gotha, Weimar, and Altenburg.
" 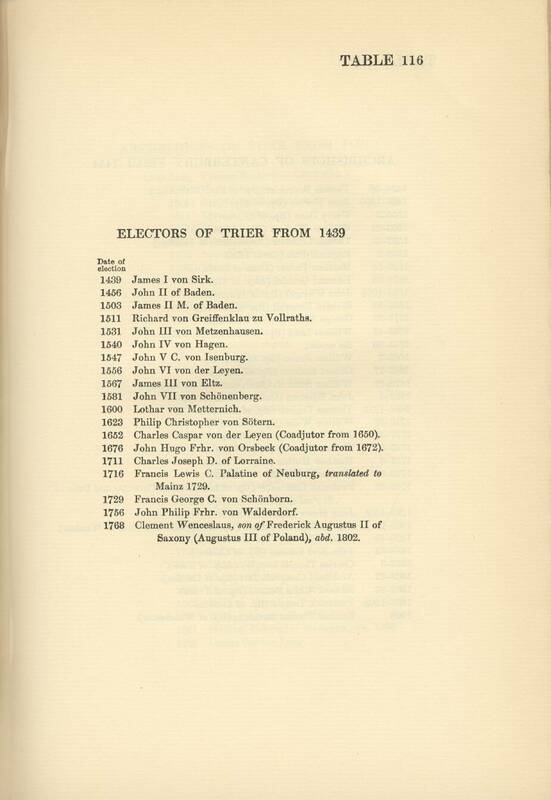 49	Electors and Kings of Saxony. 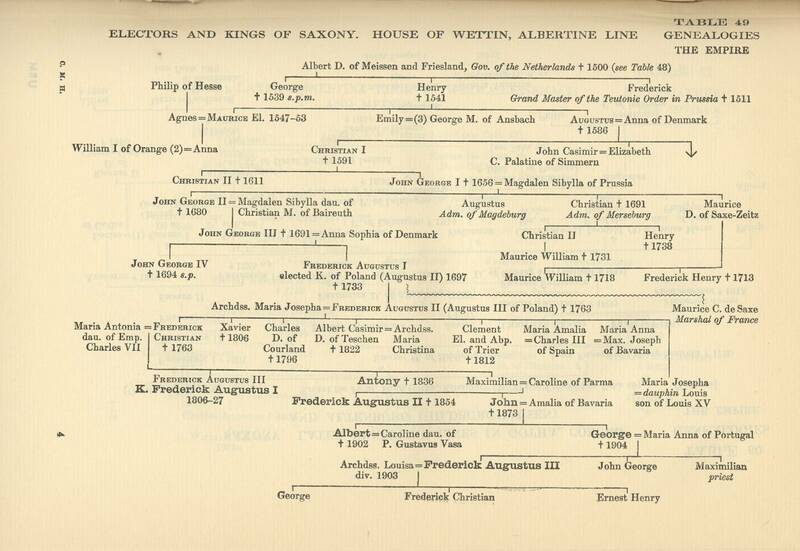 House of Wettin, Albertine line.
" 50	Saxony. 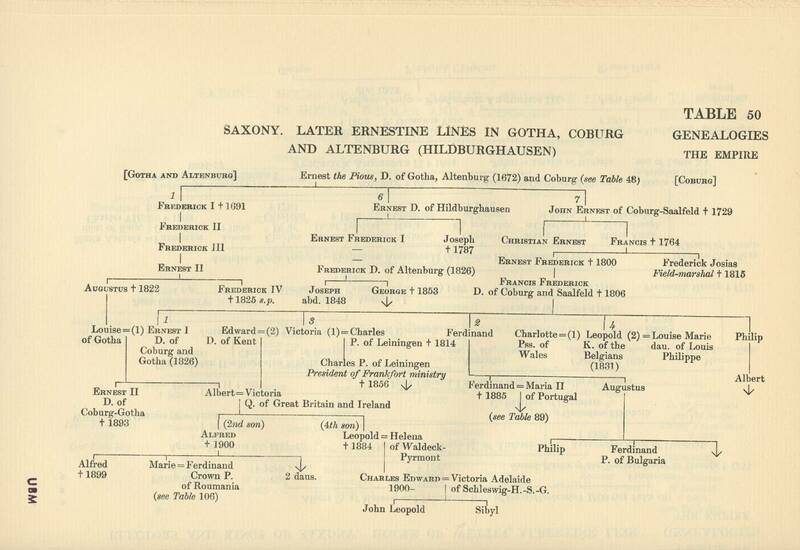 Later Ernestine lines in Gotha, Coburg, and Altenburg (Hildburghausen).
" 51	Saxony. Later Ernestine lines in Weimar-Eisenach and Meiningen.
" 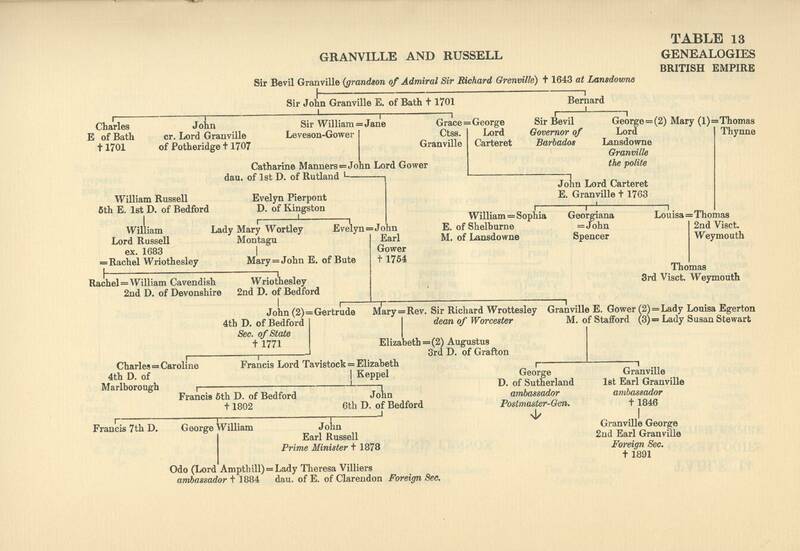 52	Brunswick and Brunswick-Lüneburg (to George II).
" 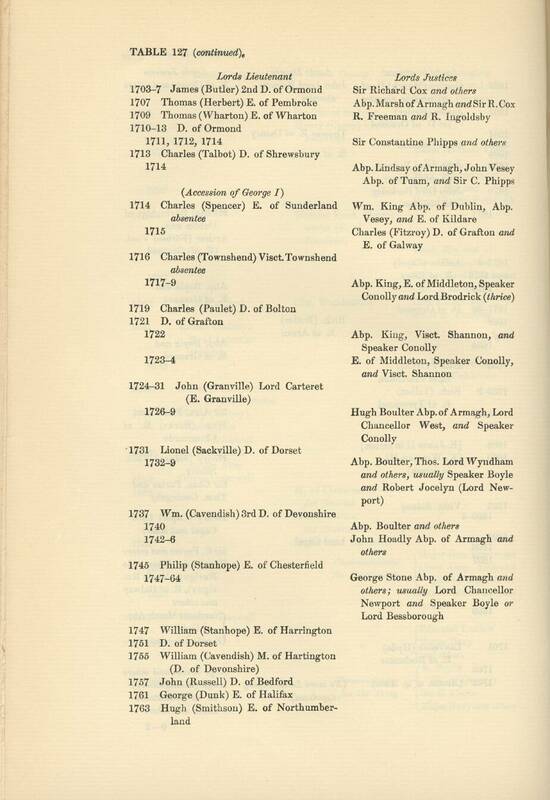 54	Kings of Hanover (from George III).
" 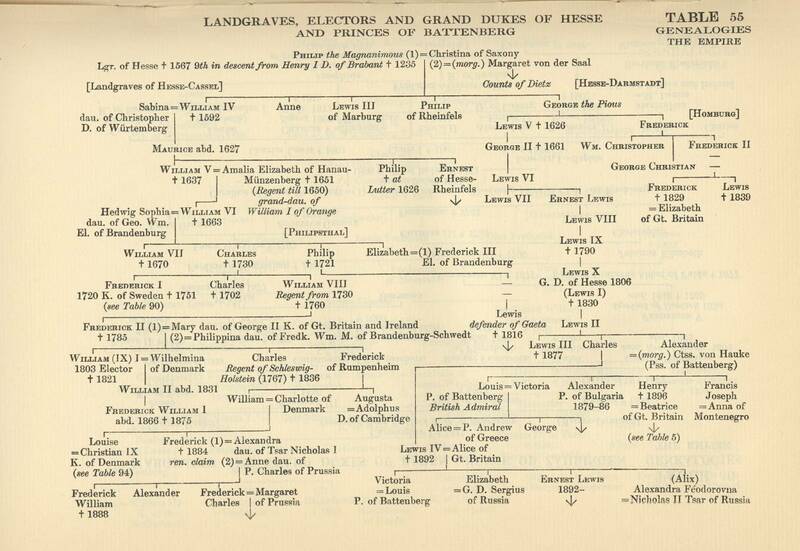 55	Landgraves, Electors and Grand Dukes of Hesse and Princes of Battenberg.
" 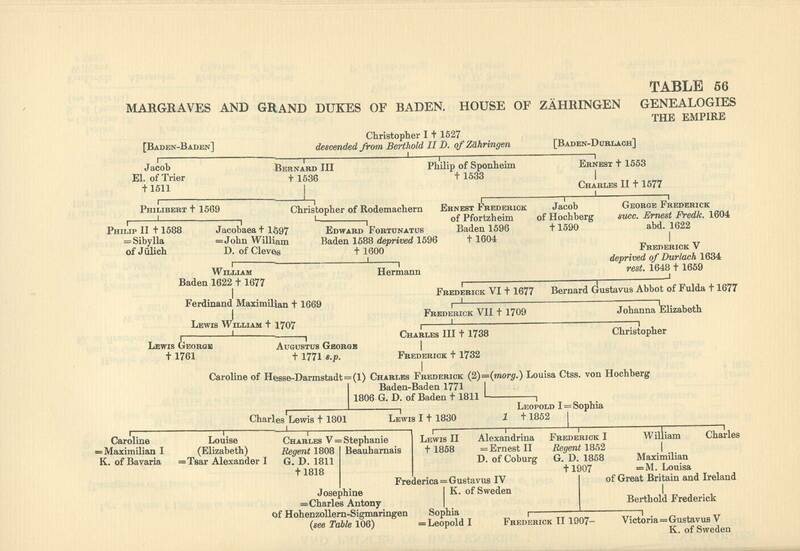 56	Margraves and Grand Dukes of Baden. 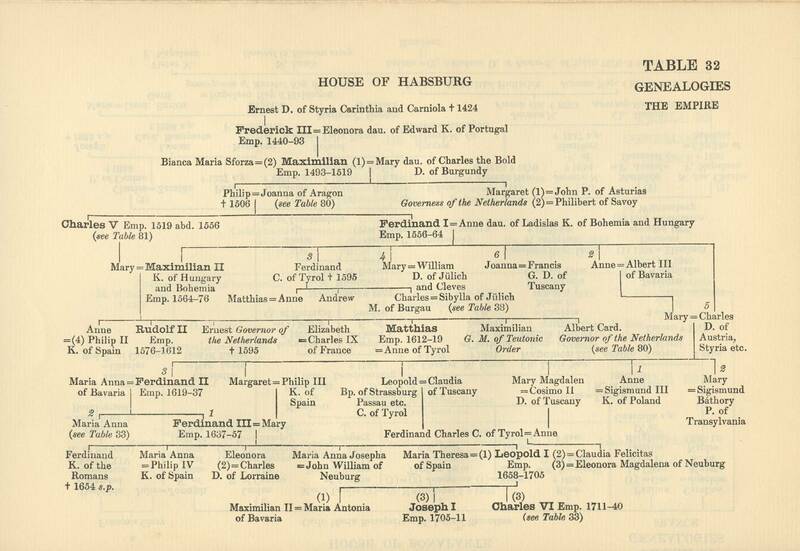 House of Zähringen.
" 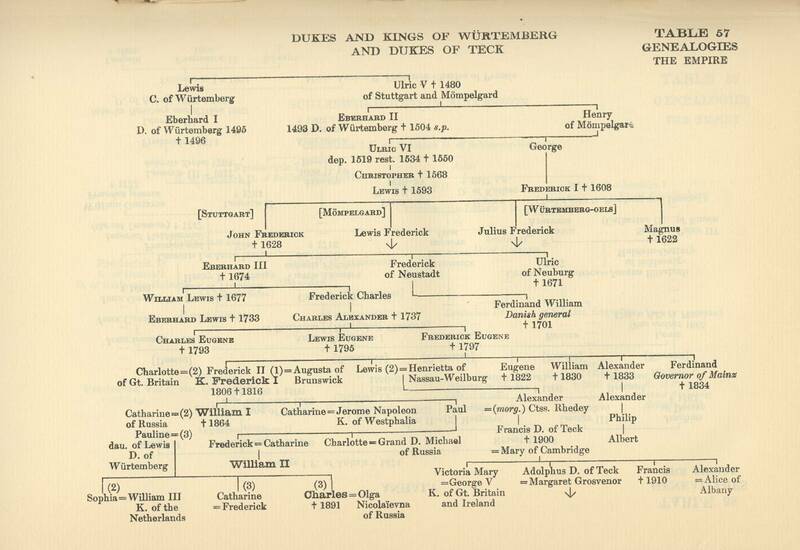 57	Dukes and Kings of Wurtemberg and Dukes of Teck.
" 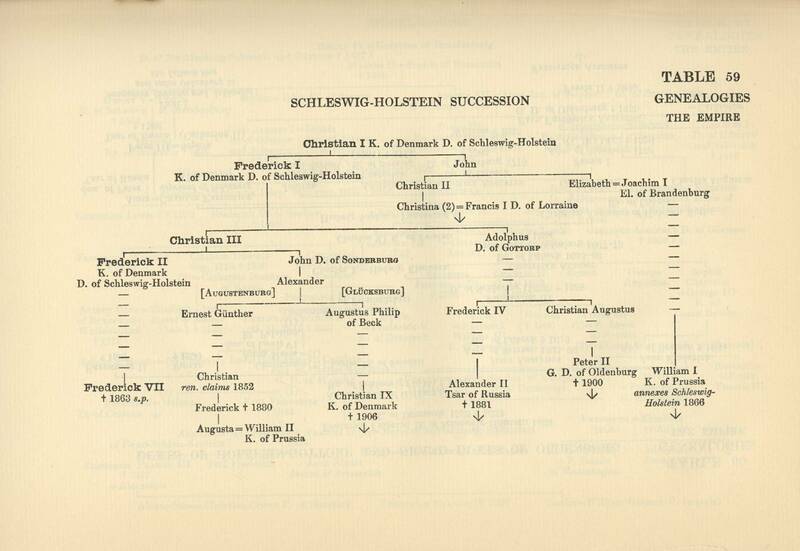 59	The Schleswig-Holstein Succession.
" 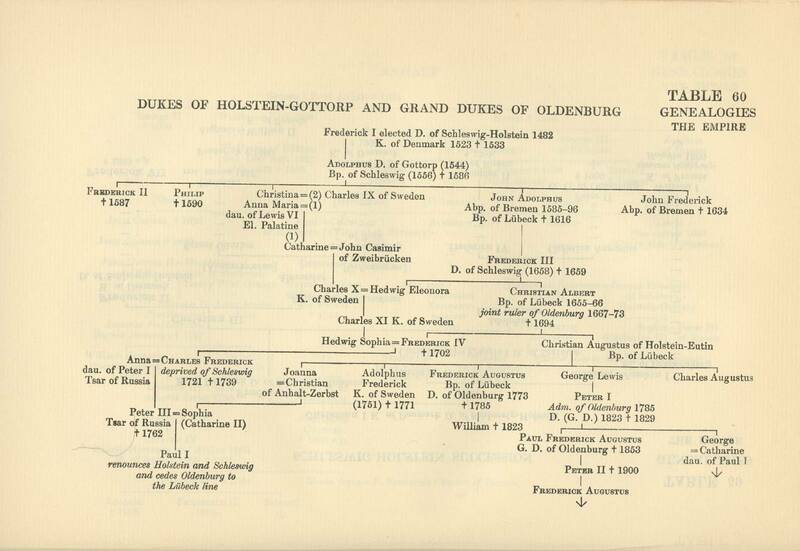 60	Dukes of Holstein-Gottorp and Grand Dukes of Oldenburg.
" 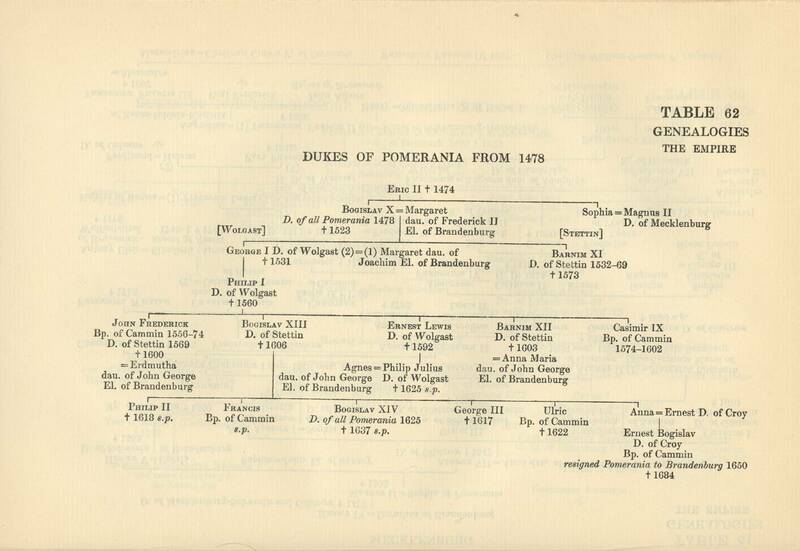 62	Dukes of Pomerania (from 1478).
" 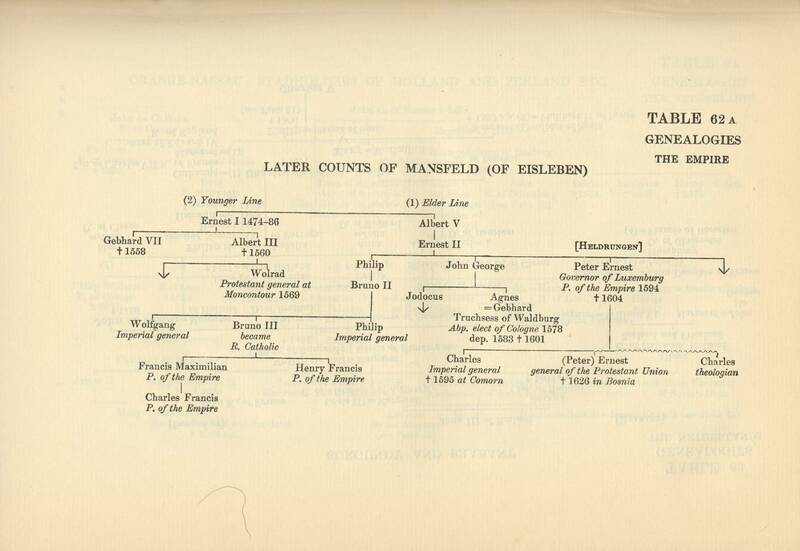 62	A Later Counts of Mansfeld (of Eisleben). Table 63 Burgundy and Brabant.
" 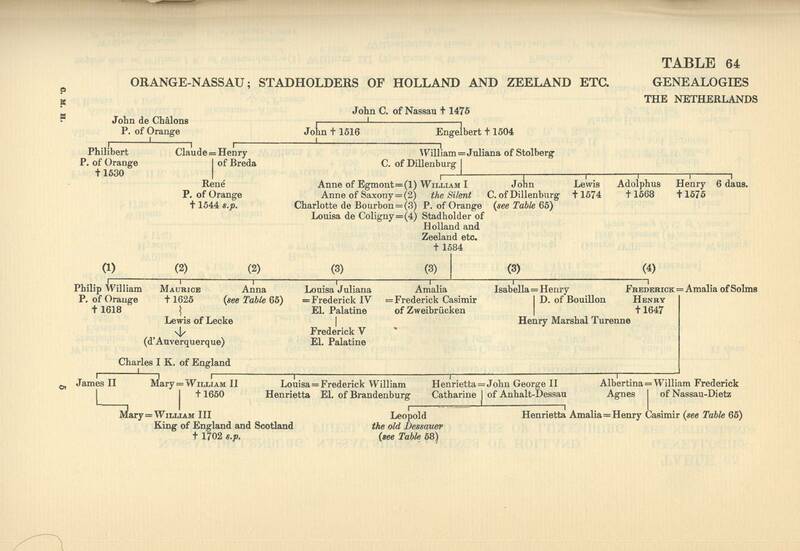 64 Orange-Nassau; Stadholders of Holland and Zeeland etc.
" 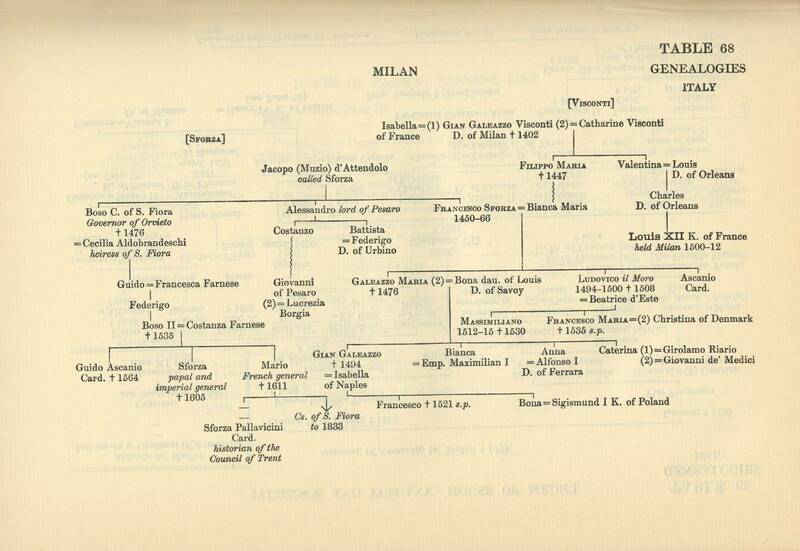 68	Visconti and Sforza in Milan (showing the French claim to Milan).
" 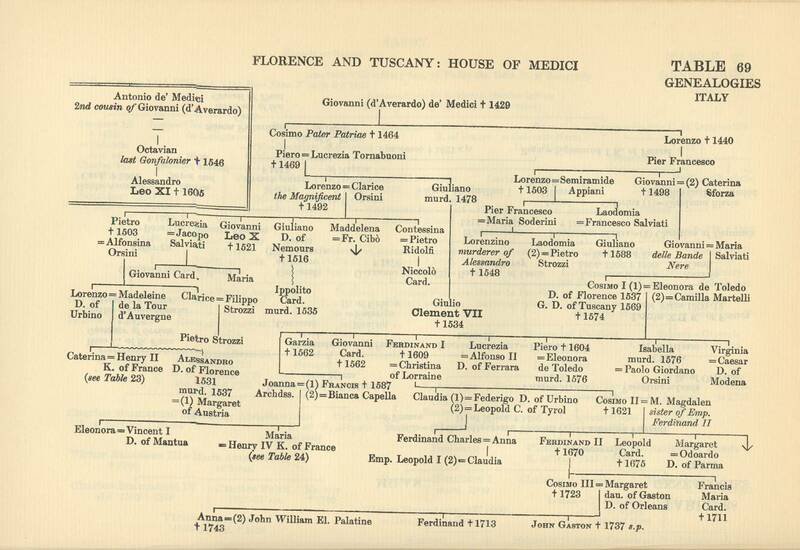 69	Florence and Tuscany: House of Medici.
" 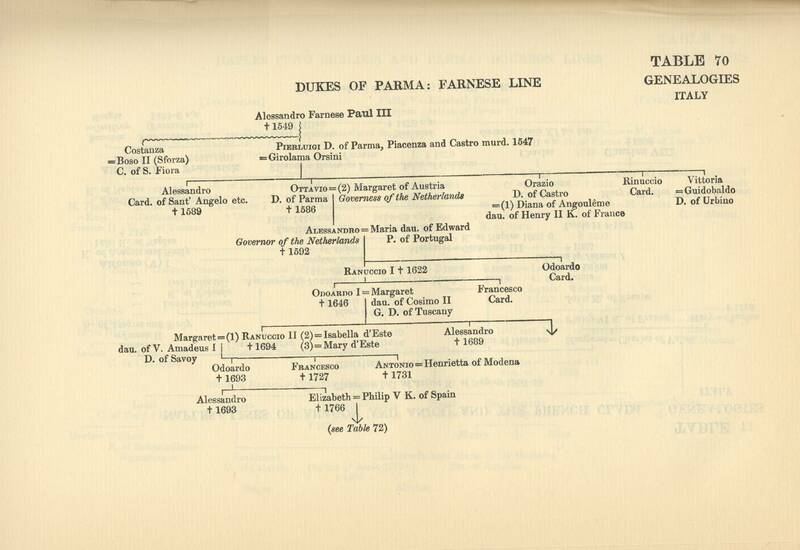 70	Dukes of Parma: Farnese line.
" 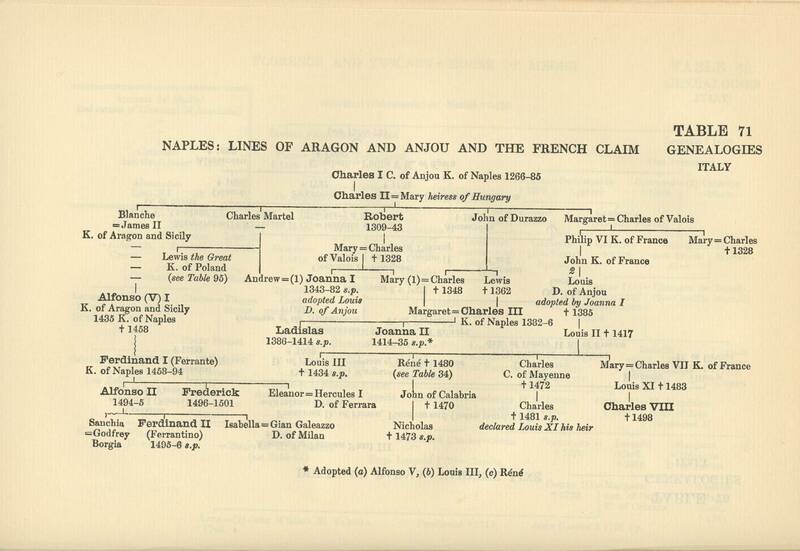 71	Naples : lines of Aragon and Anjou and the French claim.
" 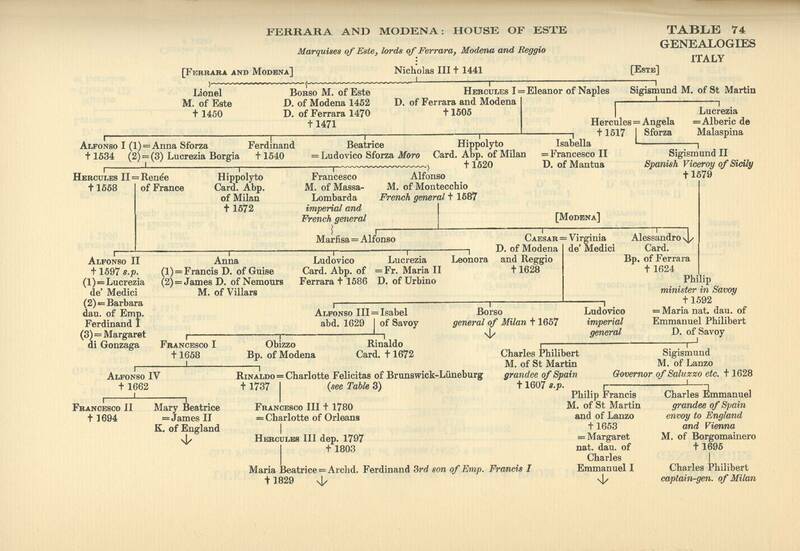 74	Ferrara and Modena: House of Este. 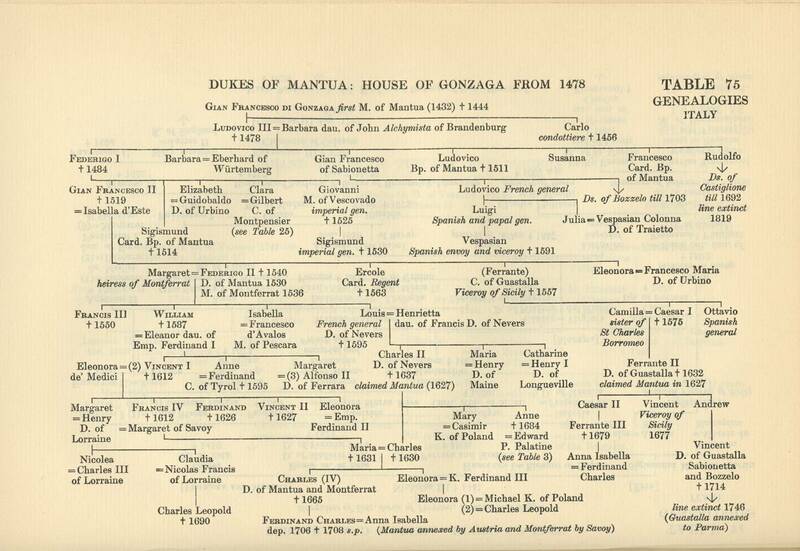 Table 75 Dukes of Mantua: House of Gonzaga from 1478.
" 76 Cibò and Chigi.
" 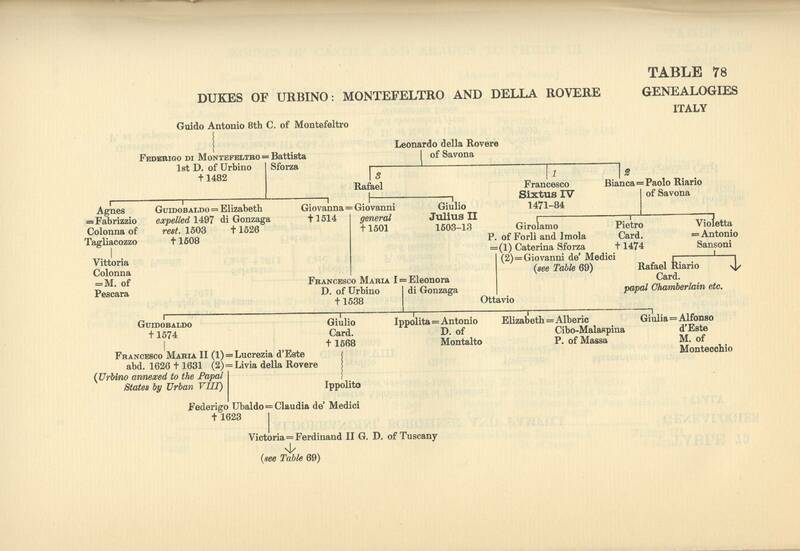 78 Dukes of Urbino: Montefeltro and della Rovere.
" 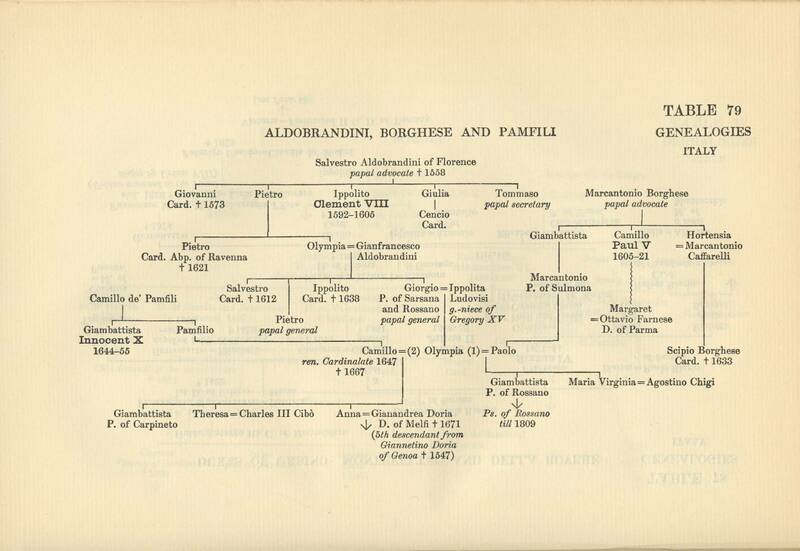 79 Aldobrandini, Borghese, and Pamfili. 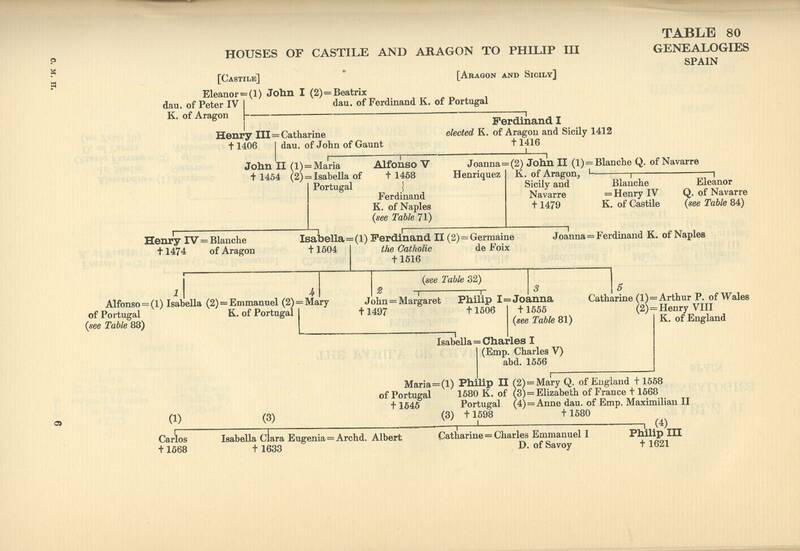 Table 80	Houses of Castile and Aragon to Philip III.
" 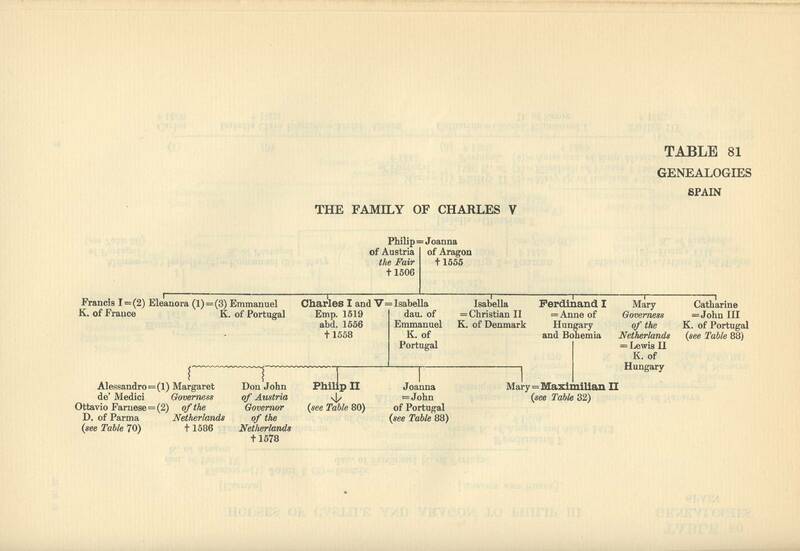 81	The family of Charles V.
" 82	The Spanish Succession.
" 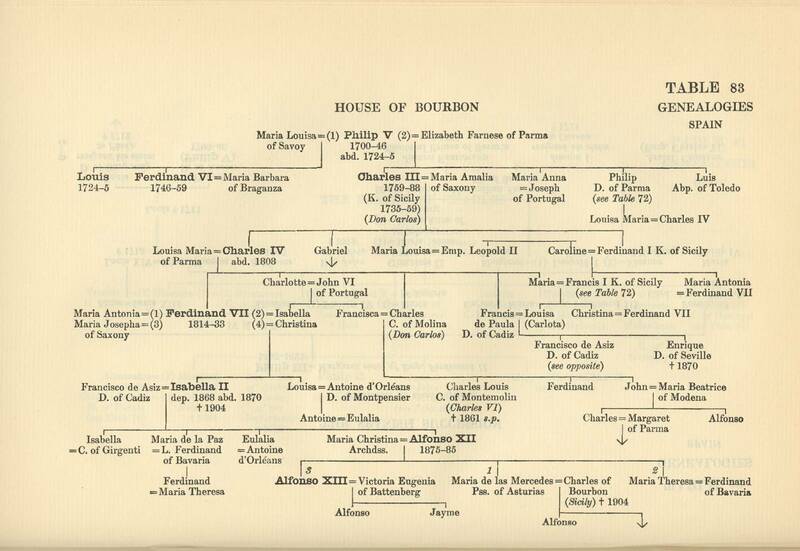 83	House of Bourbon.
" 84	Kings of Navarre.
" 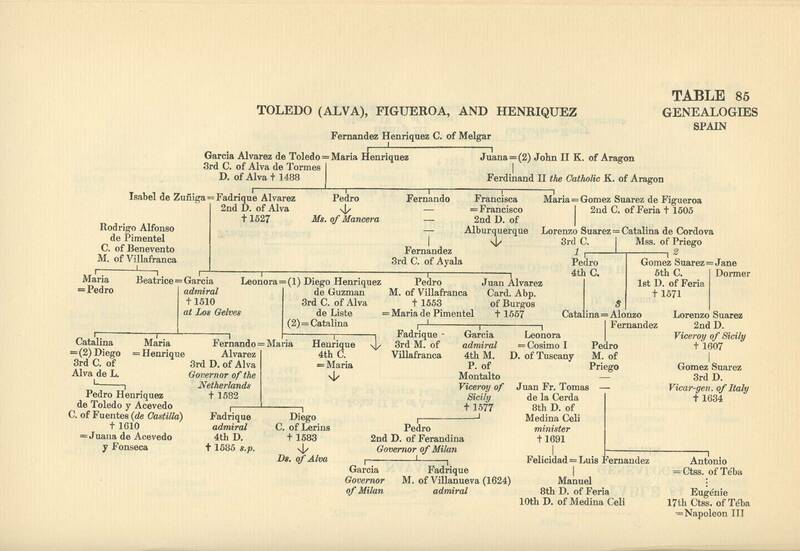 85	Toledo (Alva), Figueroa, and Henriquez.
" 86	Zuñiga (Ayamoiite, Miranda, Monterey) and Sandoval.
" 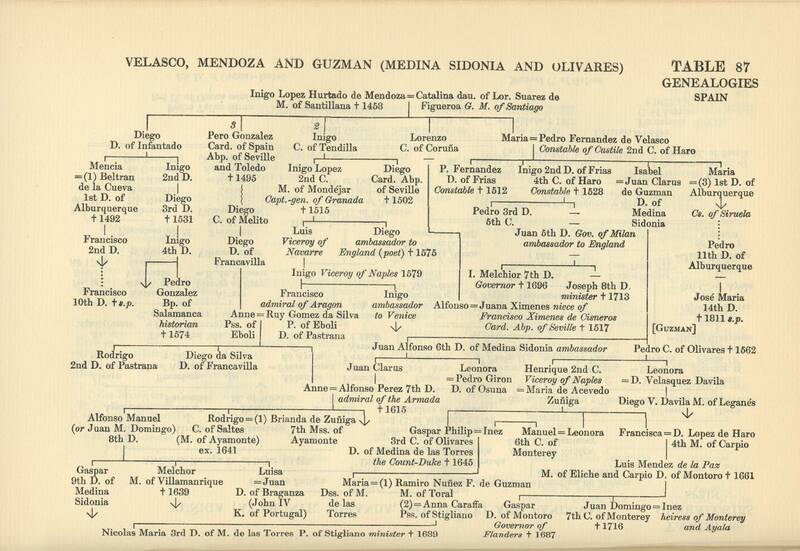 87	Velasco, Mendoza, and Guzman (Medina Sidonia and Olivares). 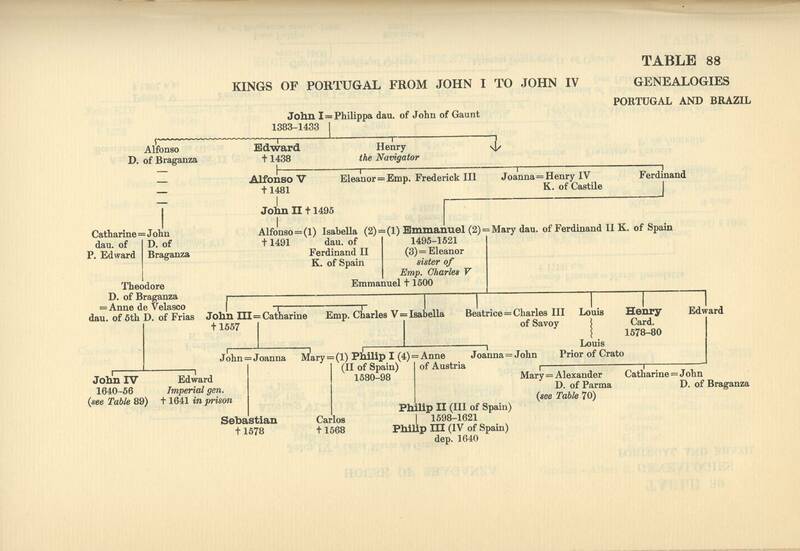 Table 88 Kings of Portugal from John I to John IV. 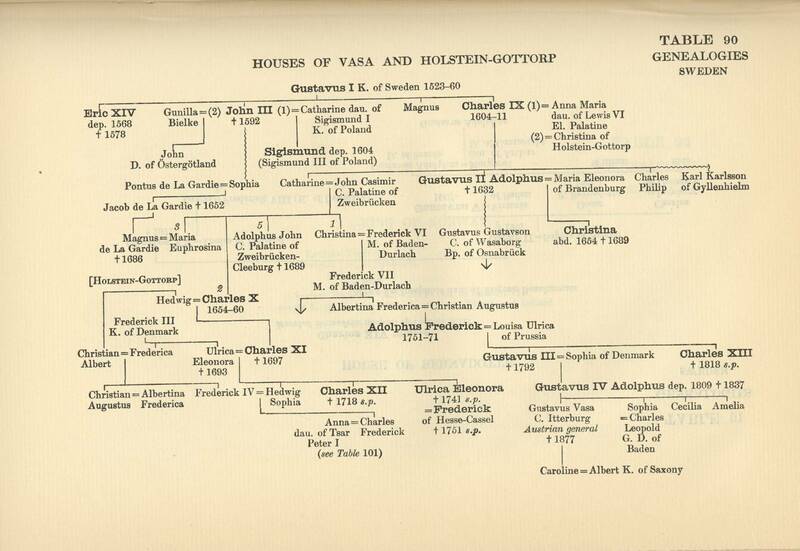 Table 90 Houses of Vasa and Holstein-Gottorp. J. Poland, Hungary and Transylvania. 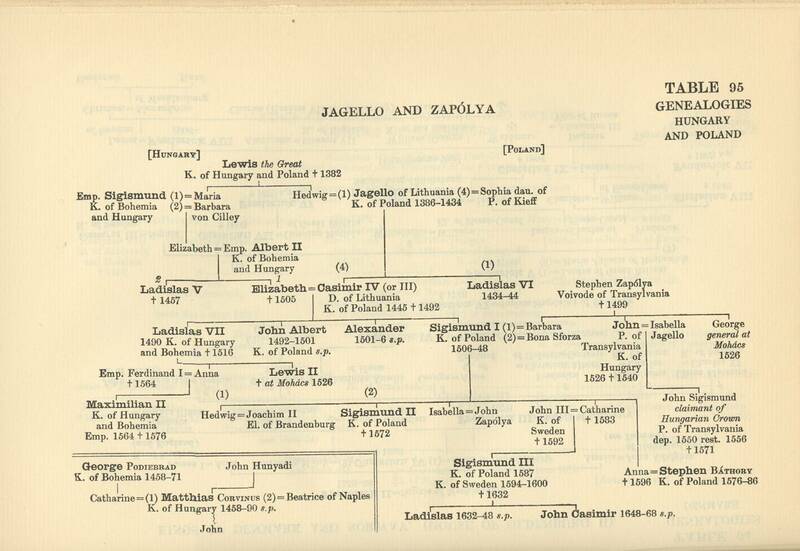 Table 95 Houses of Jagello and Zapólya.
" 97 Bethlen and Apaffy. 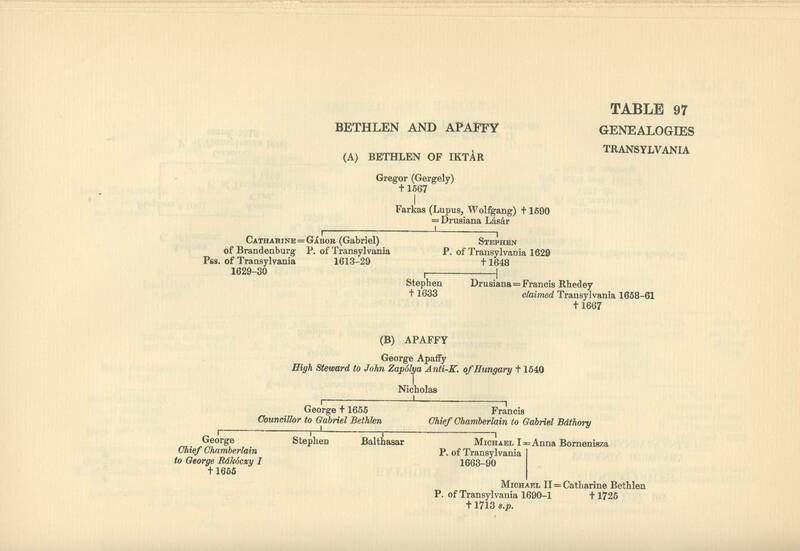 (a) Bethlen of Iktàr, (b) Apaffy.
" 98 Rákóczy and Zrinyi. 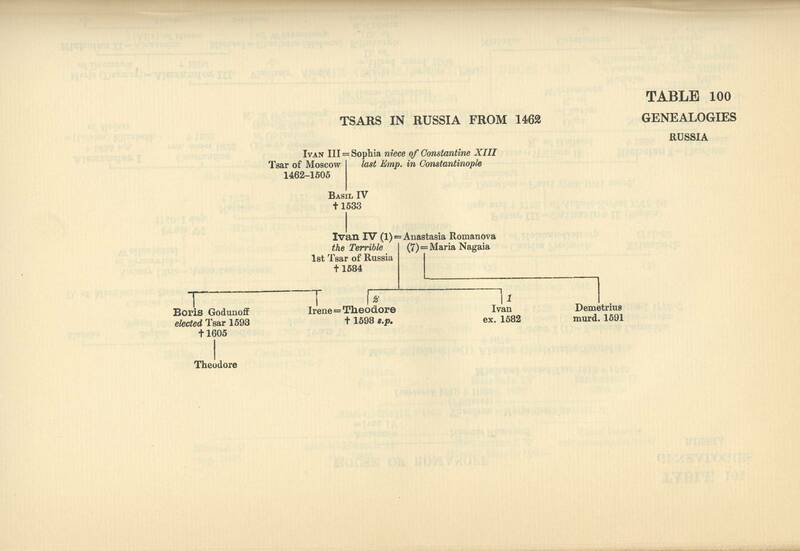 Table 100 Tsars in Russia from 1462.
" 101 House of Romanoff. L. Turkey and the Balkan States. 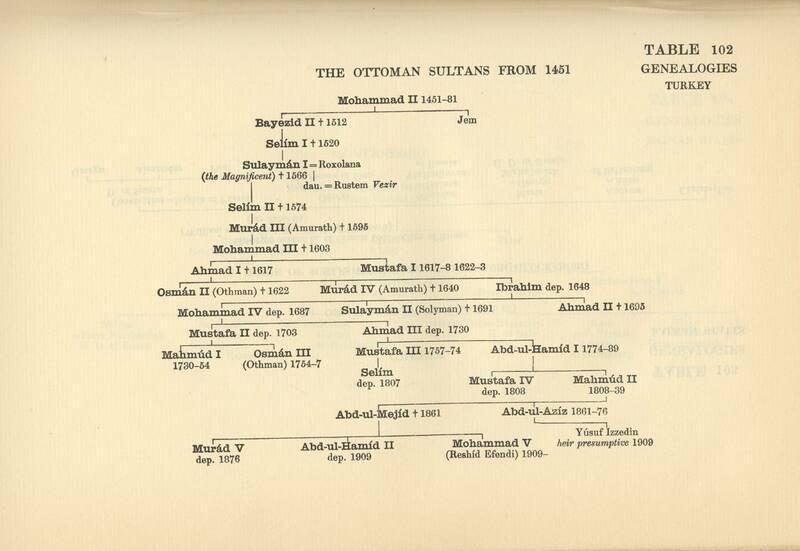 Table 102	The Ottoman Sultans from 1451. PART II. 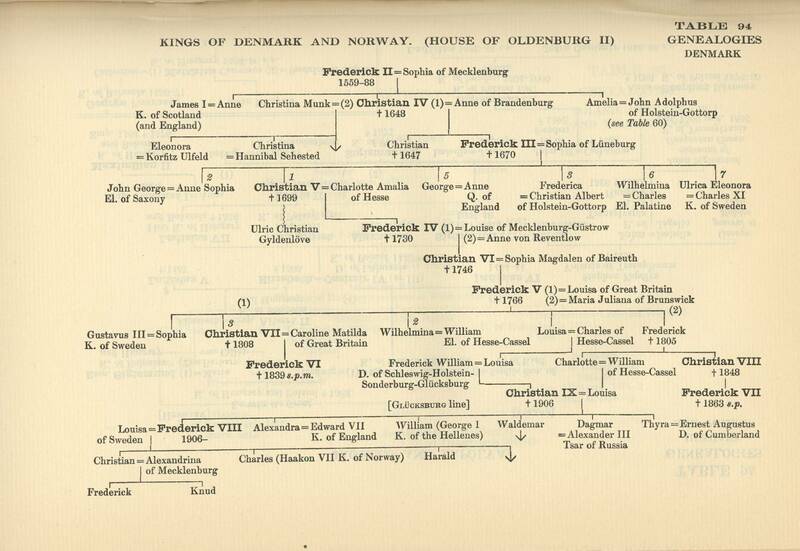 LISTS OF SPIRITUAL PRINCES, ELECTED SOVEREIGNS, ETC.
" 140 " France from Henry IV.
" 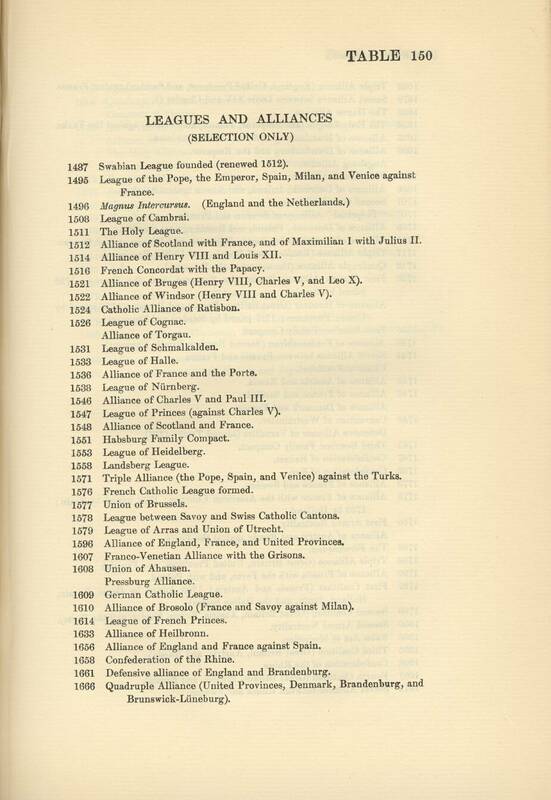 141 " the Empire and Austria from Charles V to 1871.
" 142 " Prussia to 1871.
" 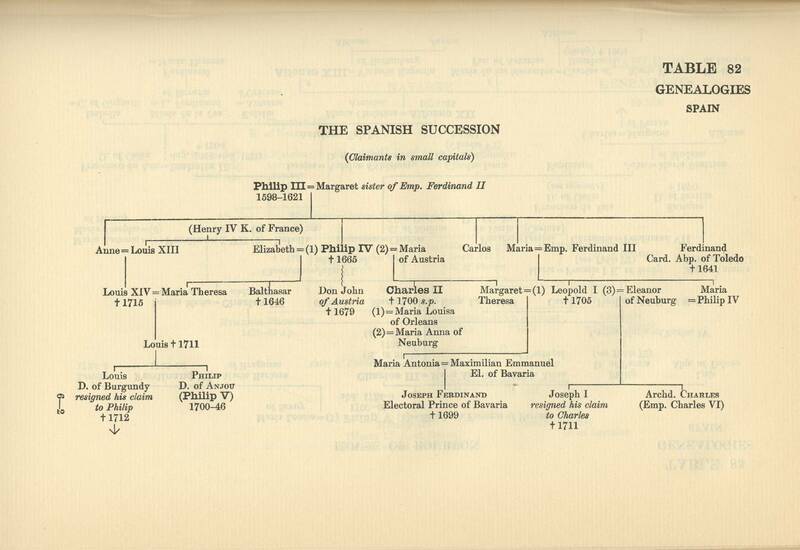 145 " Spain from Philip III to 1873. PART III. 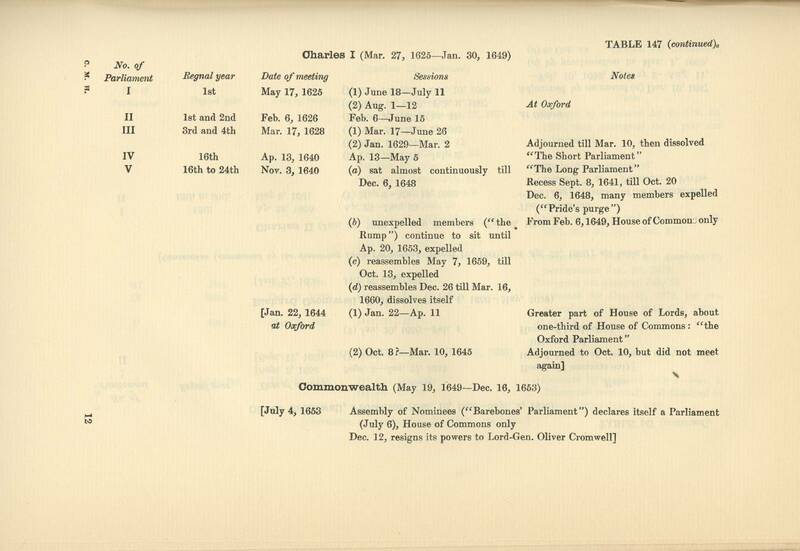 LISTS OF PARLIAMENTS, GENERAL COUNCILS, ETC. 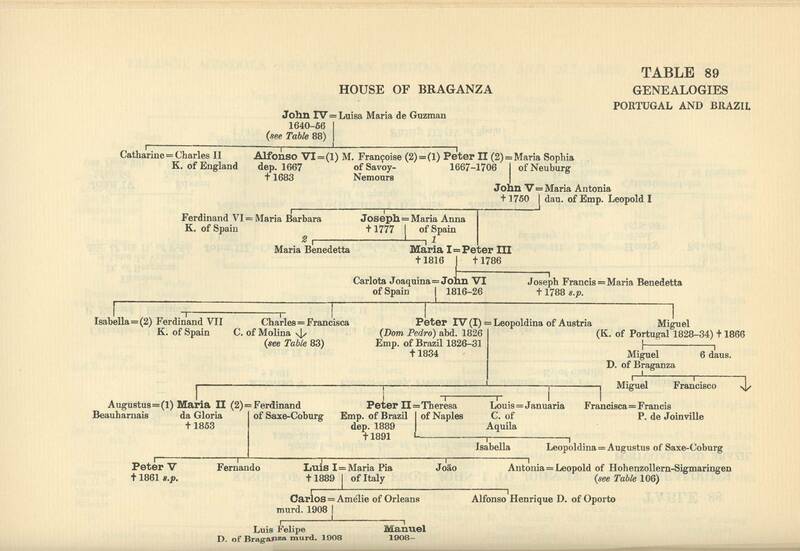 THE series of Tables and Lists here supplied consists, in the first instance, of Genealogical Tables of the sovereign families of European and certain other countries, together with Lists of elected potentates, within the period treated in The Cambridge Modern History. 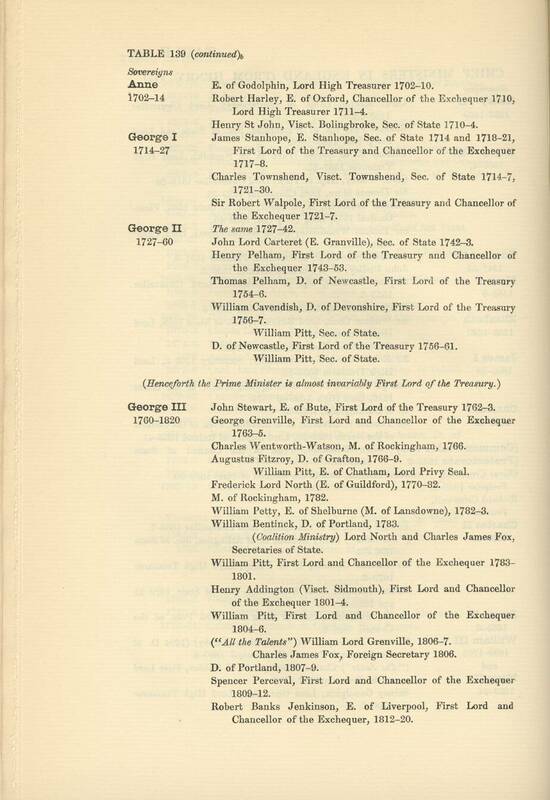 To these are added Genealogical Tables of certain noble houses, with Lists of chief ministers of great States, and of governors of important dependencies and colonies, within the same period. 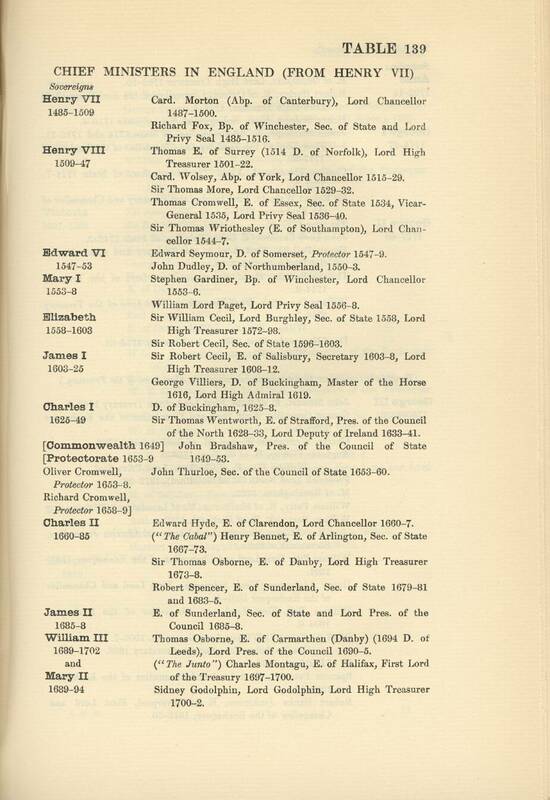 Finally, Lists are given of English (and British) Parliaments and of Imperial Diets, together with one or two lists of a special kind adverted to below. 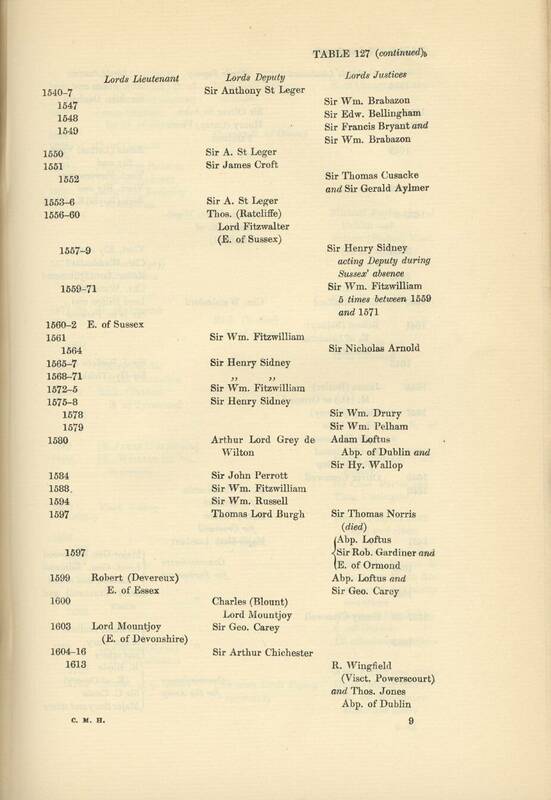 These Tables and Lists are primarily intended as aids in the use of The Cambridge Modern History ; and no pretence is made that every one of them is complete in itself. It is, however, hoped that they will be found to supply the information likely to be required by a large proportion of students of modern history, and that no personage of any historical importance has been passed by in the table or list where his or her name ought to find a place. 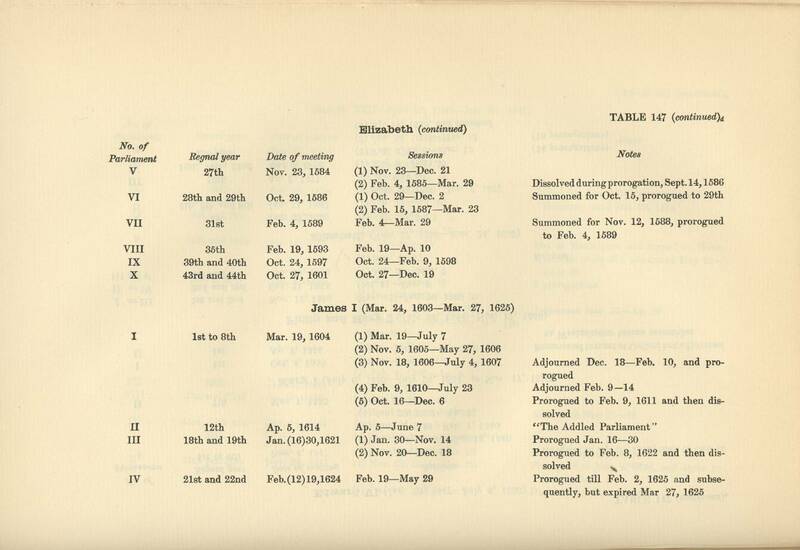 The Tables and Lists should throughout be used in conjunction with the General Index. 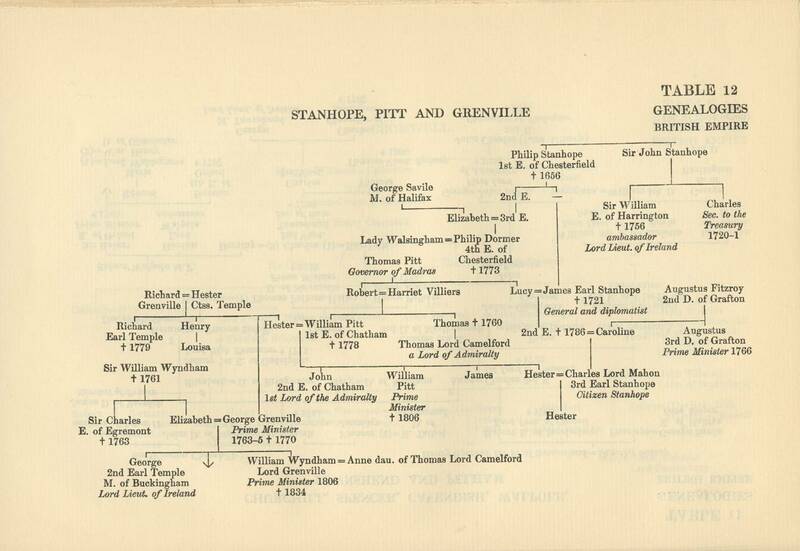 Among the Genealogical Tables are included those of various families which were prominent in European Succession questions, or took a leading part in the civil and religious wars of the sixteenth and seventeenth centuries. 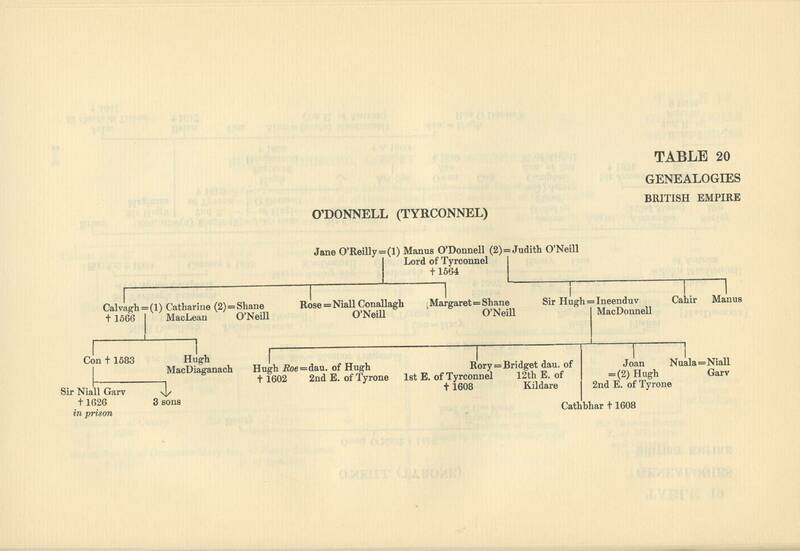 Room has been found for Tables of certain other families of which various members are not easily identifiable in the usual books of reference Thus, several notable Irish clans are given. 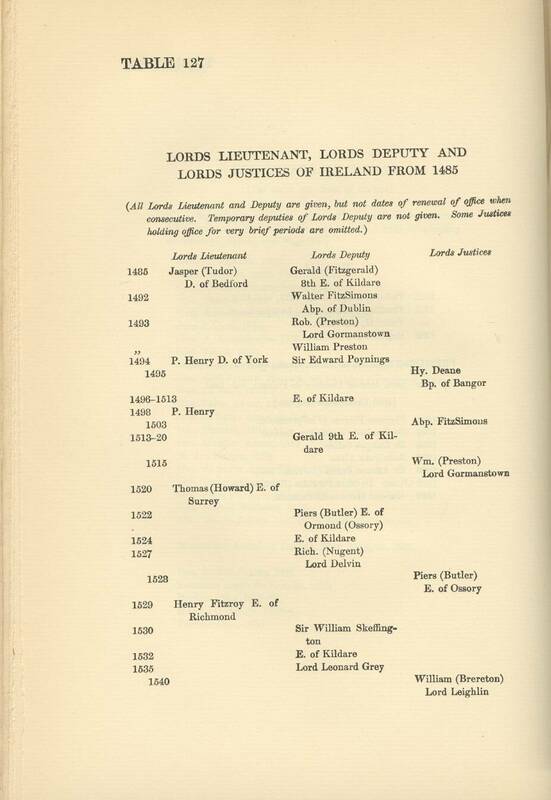 On the other hand, it has not been thought necessary to include Tables of wellknown houses in the English and the Scottish nobility, which may be traced without difficulty in peerages or other handbooks. 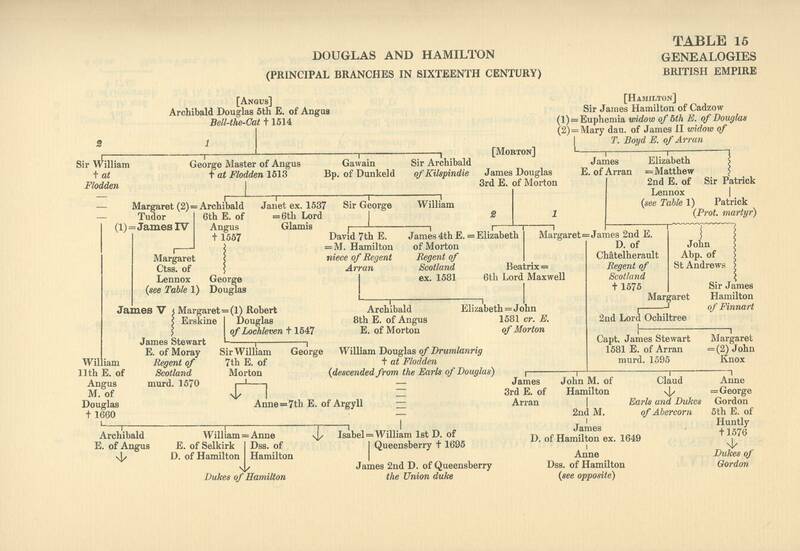 The Howard, Douglas, and Campbell families have, however, been exceptionally introduced, in order to draw attention to their political alliances ; and, on much the same grounds, certain of the great ministerial families of the sixteenth and eighteenth centuries have been included. 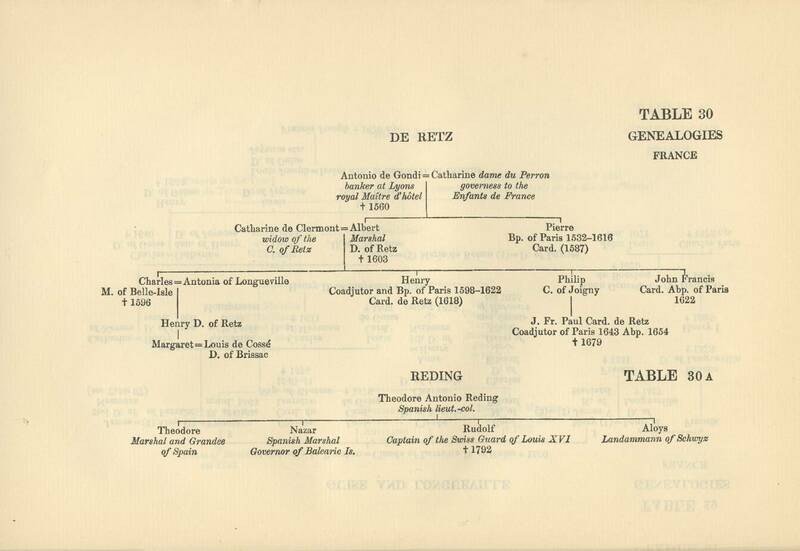 The Reding Table, which has been placed by the side of that of the De Retz family for the sake of convenience only, is intended to show a connexion not usually noticed. 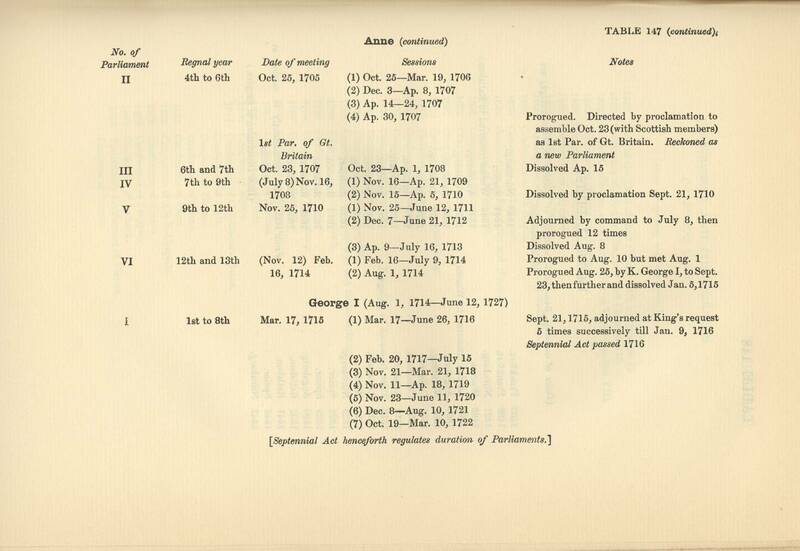 As to order of sequence, the Tables and Lists have, so far as possible, been arranged under the heads of the countries to which they severally relate, beginning in each division with the British Empire. Here, the governors of the more important colonies only are given, the lists beginning ordinarily from the date when representative or responsible ministerial government was first set on foot in the several colonies. 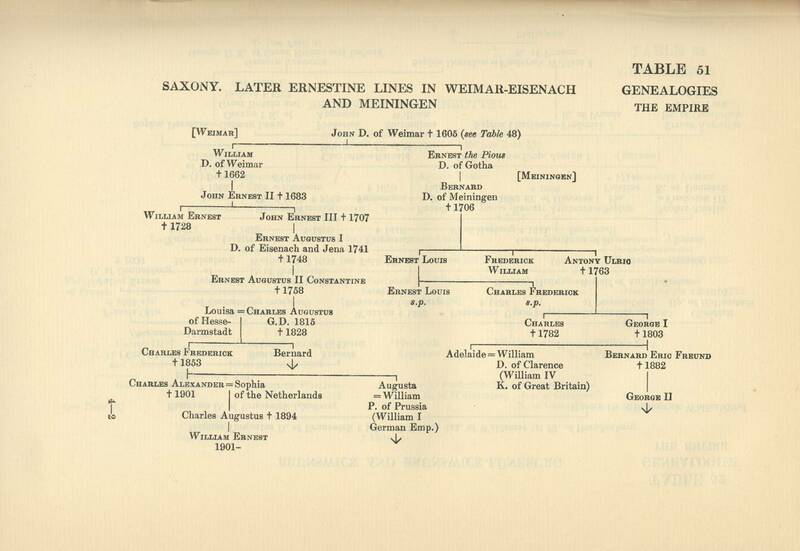 In the case of the German Genealogical Tables selection has not been easy, owing to the large number of sovereign families ; so far as possible, preference has been given to those of which prominent members are mentioned in the History. The Spanish Tables likewise required much compression, owing to exigencies of space. 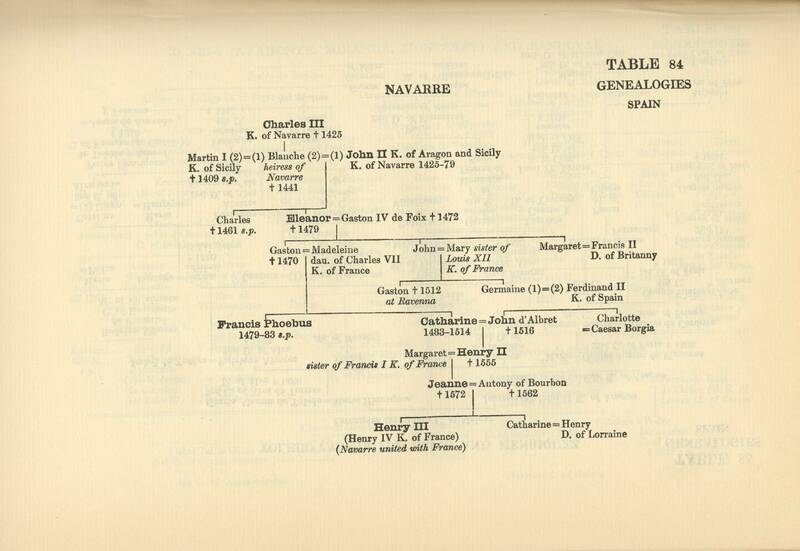 The identification of individuals is peculiarly difficult here, occasionally in consequence of a form of Spanish pride, which showed itself in the systematic suppression, in family genealogies, of members of the family who had " disgraced " it. 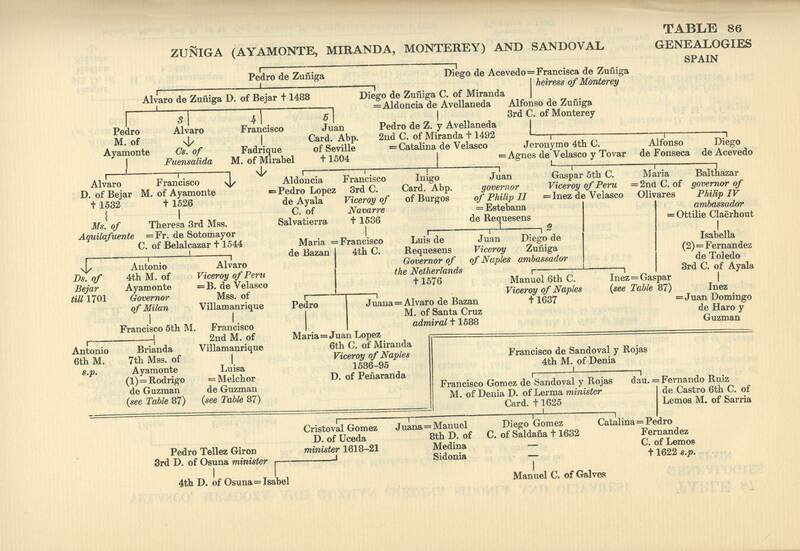 Spanish titles usually descended to daughters as well as to sons; and records often only date from the creation of the Grandees of Spain onwards. 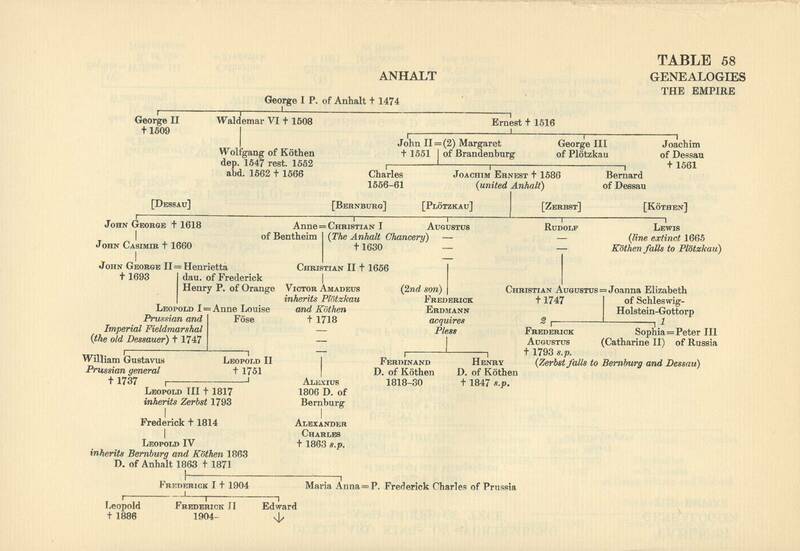 An enumeration of the works used in the compilation of the Genealogical Tables and for certain of the Lists would be in some respects misleading, but it may be of service to the student to direct his attention, among more recent publications, to A. Cohn's revised edition of T. G. Voigtel's Stammtafeln der Geschichte der europäischen Staaten, of which unfortunately only Vol. 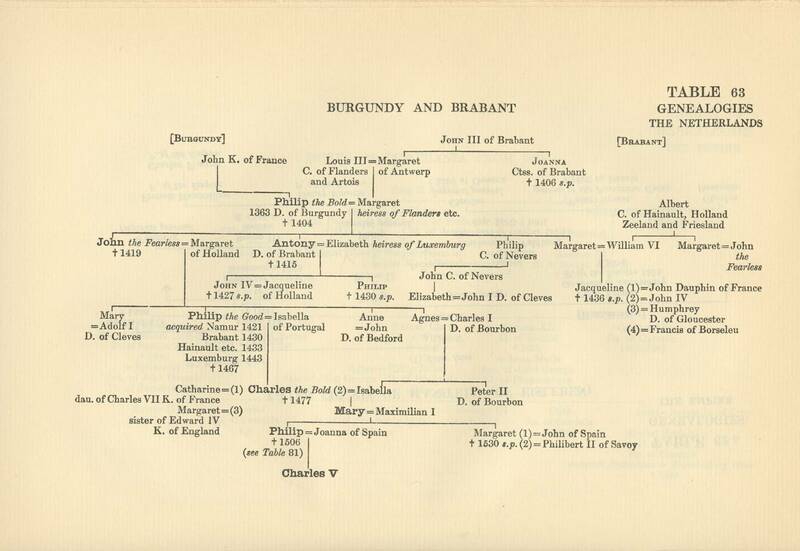 i (Germany and the Netherlands) has appeared (Brunswick, 1871) ; to Fernández de Bethencourt's Historia genealógica y heráldica de la Monarquía Española (Vols, i-viii, Madrid, 1897-1910, in progress) ; to Burgos' Blazon de España (Madrid, 1853-60); and to P. Litta's Famiglie Celebri Italiane (Milan, 1819 sqq., in progress). J. Hübner's venerable Genealogische Tabellen, 4 vols. (1733-66) with Supplements (Copenhagen, 1822-4), have been put largely under contribution, together with Koch's Tables Généalogiques des Maisons souveraines de l'Europe (Strassburg, 1780), especially useful for Italy and France, and L. Moréri's Grand Dictionnaire historique, particularly in the Spanish edition, 8 vols., Paris, 1753. 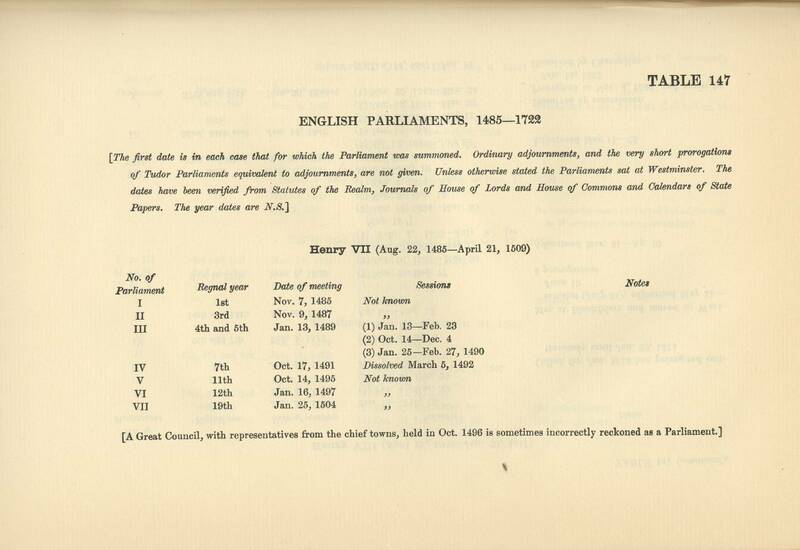 The list of English Parliaments has been compiled from the data in the Journals of the two Houses (which often supplement each other), the Statutes of the Realm, and the Calendars of State Papers, compared with C. H. Parry's The Parliaments and Councils of England (1839) and other authorities. 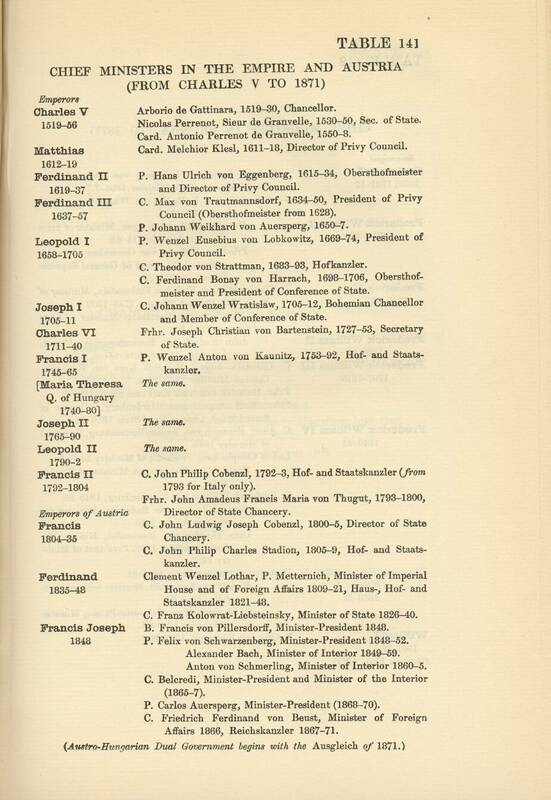 The List of Congresses and Conferences has been confined mainly to formal gatherings of plenipotentiaries of the chief European States, or of particular States negotiating with one another as to terms of peace and other objects of common interest ; but a few meetings between sovereigns mentioned in the earlier portions of this History, and a few meetings of representatives of particular opinions or interests in recent times, have been exceptionally included. The List of Leagues and Alliances is essentially a selected list. It might, of course, have been extended almost indefinitely in many periods of Modern History between the fifteenth and the twentieth century ; the guiding consideration has in each case been the relative historical importance of the league or alliance mentioned, and its consequent mention in this work. Confederations of States formed on the basis of a written constitution have been consistently omitted. 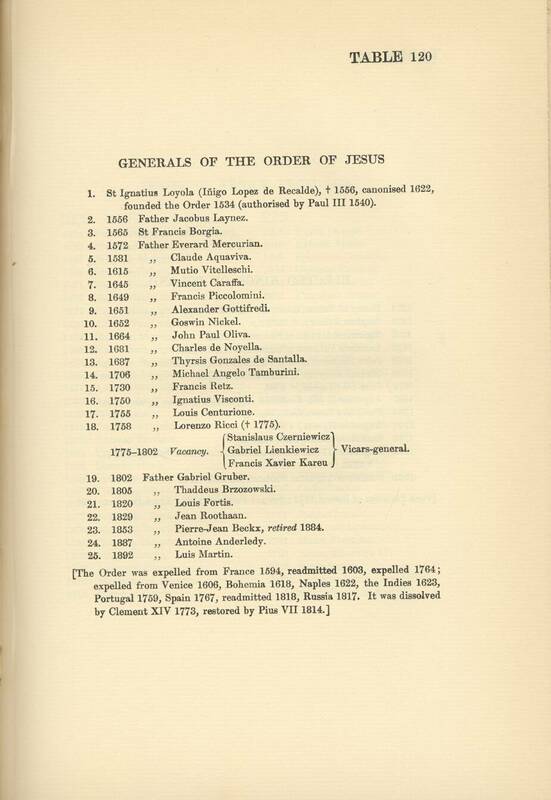 No List of General Councils has been inserted, the number of Councils acknowledged as such by the Western Church at large from the fifteenth century onwards being so small that an enumeration of them seemed unnecessary. On the other hand, a List of Secularised Bishoprics seemed desirable, in view of the difficulty in following the main territorial changes involved. 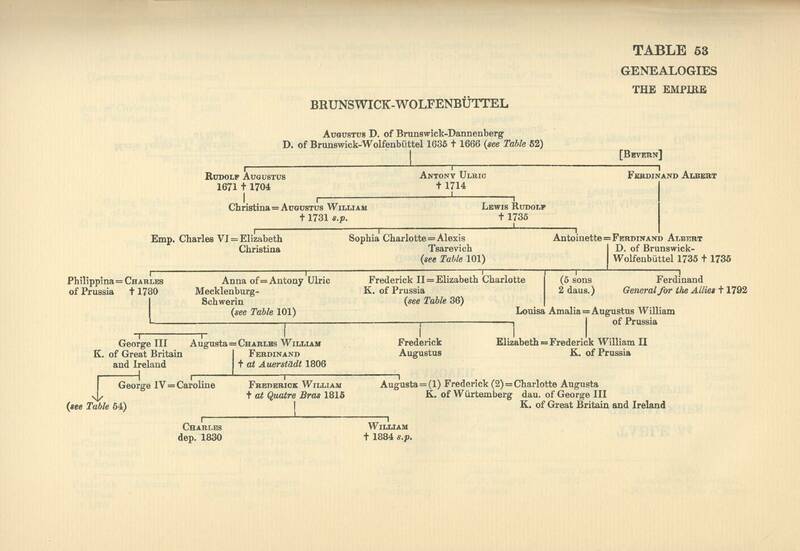 It has not however proved possible to include the large list of Abbots and Abbesses of princely rank ; the dates of the secularisation of their dominions may easily be ascertained from C. Wolff's Die unmittelbaren Theile des ehemaligen römisch-deutschen Kaiserreiches, etc. (Berlin, 1873), or from other sources. The Lists of Congresses and Conferences and of Leagues and Alliances are expressly intended to be selections only ; from the former, Religious Colloquies have been excluded. Finally, the List of Universities has been restricted to Universities proper ; single Faculties as well as University Colleges, Academies, and similar institutions providing higher instruction being, for want of space, excluded. The list does not include Universities founded before 1450. Among the Universities of the United States of America, those are enumerated which report to the United States Bureau of Education and are included in its lists. Some of the more important Academies and Societies founded for the advance of learning and research are mentioned in Chapter xxiii of Vol. v of this History. 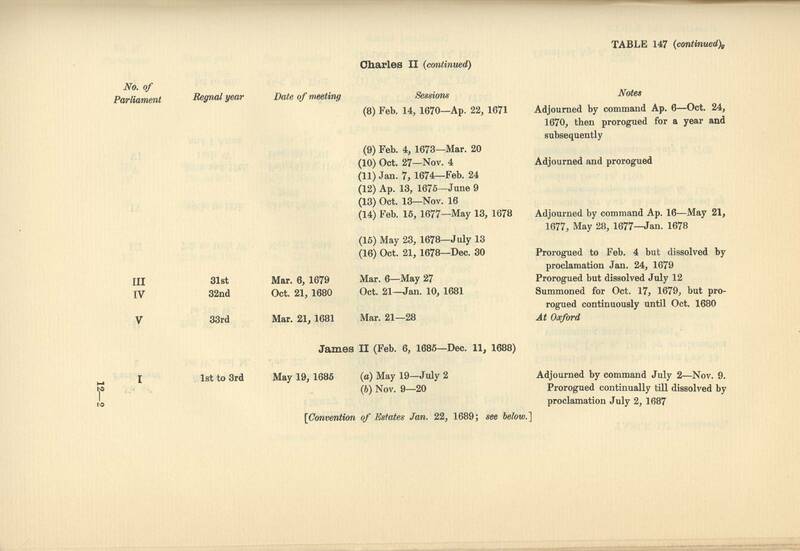 Titles borne and offices held by persons mentioned in the Tables or Lists have been inserted only in so far as they seemed necessary for the purpose of identification. Fuller descriptions will often be found in the General Index, or in the Indexes of particular volumes. The spelling of names conforms so far as possible to the rules adopted in the compilation of the General Index, in view of the precedents set by the History itself. Christian names are Anglicised or left in their foreign form as in the Indem and the History, and foreign surnames are spelt as they are spelt there. Titles are given in English where English equivalents exist ; in the case of French titles, they are given in French (Due, etc.) from the French Revolution onwards, when they ceased to be territorial and became honorific only. Black type is used for crowned heads, Emperors and Kings, but not for those incidentally mentioned (e.g. as married) in Tables of other Houses. Small capitals are used for succession of minor territorial potentates, as Electors, Archdukes, etc., and for titles of a branch line in the table, in brackets. Explanatory indications (of various kinds) are given in italics. Dates of accession are given only when necessary to avoid confusion; date of death alone is given when succession went from father to son, or from brother to brother, or is obvious without a date of accession. 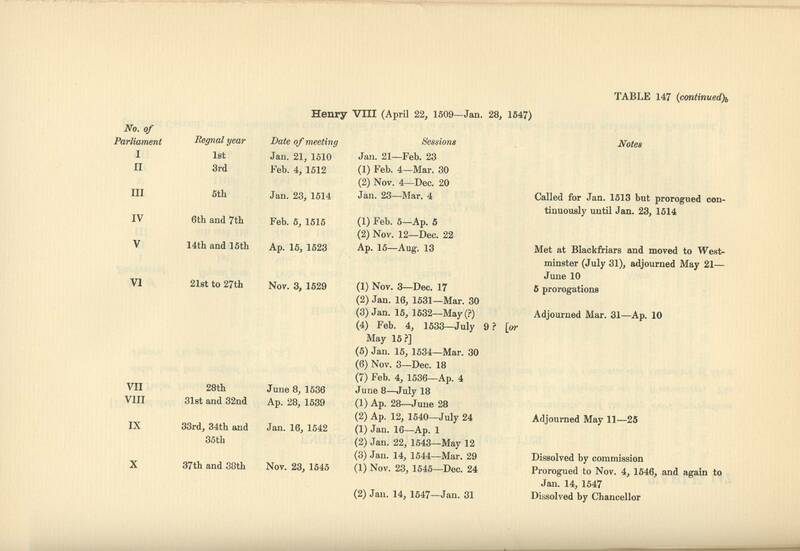 A reference to another table (see e.g. Table 100) signifies that a line not shown in the Table containing the reference continues in the Table referred to ; or that there is some other special reason for the reference. if placed next to the name of a person, signifies the ordinal among his or her marriages of that noted in the table (e.g. 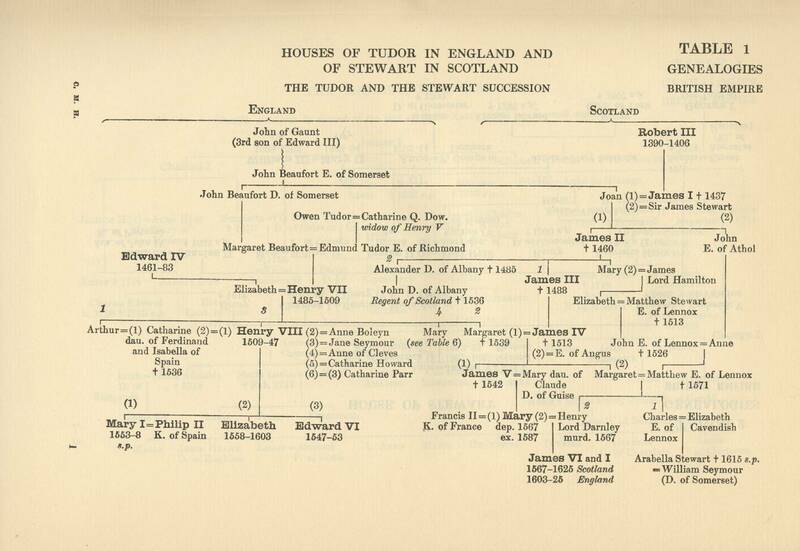 Henry VIII(6) = (3)Cath.Parr). 1447 Mar.-1405 Mar. Nicholas V (Thomas of Sarzana). 1456 Ap.-1458 Aug.	Calixtus III (Alfonso Borgia). 1458 Aug.-1464 Aug.	Pius II (Aeneas Sylvius Piccolomini). 1464 Aug.-1471 July	Paul II (Pietro Barbo). 1471 Aug.-1484 Aug.	Sixtus IV (Francesco délia Rovere). 1484 Aug.-1492 July	Innocent VIII (Giambattista Cibò). 1492 Aug.-1503 Aug.	Alexander VI (Rodrigo Borgia). 1503 Sept.-Oct.	Pius III (Francesco Todeschini (Piccolomini)). 1503 Nov.-1513 Feb.	Julius II (Giulio della Rovere). 1513 Mar.-1521 Dec.	Leo X (Giovanni de' Medici). 1522 Jan.-1523 Sept.	Adrian VI (Adrian Boyers (of Utrecht)). 1523 Nov.-1534 Sept.	Clement VII (Giulio de' Medici). 1534 Oct.-1549 Nov.	Paul III (Alessandro Farnese). 1550 Feb.-1555 Mar. Julius III (Giovanni Maria del Monte). 1555 Ap. Marcellus II (Marcello Cervini). 1555 May-1559 Aug.	Paul IV (Giovanni Pietro Caraffa). 1559 Dec.-1565 Dec.	Pius IV (Gian-Angelo de' Medici). 1566 Jan.-1572 May	Pius V (Michèle Ghislieri). 1672 May-1585 Ap. Gregory XIII (Ugo Bnoncompagno). 1685 Ap.-1590 Aug.	Sixtus V (Felix Peretti (Card. Montalto)). 1690 Sept.	Urban VII (Giambattista Castagna). 1590 Dec.-1591 Oct.	Gregory XIV (Niccolö Sfondrato). 1591 Oct.-Dec.	Innocent IX (Gian-Antonio Facchinetto). 1592 Jan.-1605 Mar. Clement VIII (Ippolito Aldobrandini). 1605 Ap. Leo XI (Alessandro Ottavio de' Medici). 1605 May-1621 Jan.	Paul V (Gamillo Borghese). 1621 Feb.-1623 July	Gregory XV (Alessandro Ludovisi). 1623 Aug.-1644 July	Urban VIII (Maffeo Barberini). 1644 Sept.-1655 Jan.	Innocent X (Giambattista Pamfili). 1655 Ap.-1667 May	Alexander VII (Fabio Chigi). 1667 June-1669 Dec.	Clement IX (Giulio Rospigliosi). 1670 Ap.-1676 July	Clement X (Giambattista Altieri). 1676 Sept.-1689 Aug.	Innocent XI (Benedetto Odescalchi). 1689 Oct.-1691 Feb.	Alexander VIII (Pietro Ottobuoni). 1691 July-1700 Sept.	Innocent XII (Antonio Pignatelli). 1700 Nov.-1721 Mar. Clement XI (Gianfrancesco Albano). 1721 May-1724 Mar. Innocent XIII (Michelangelo Conti). 1724 May-1730 Feb.	Benedict XIII (Pietro Francesco Orsini). 1730 July-1740 Feb.	Clement XII (Lorenzo Corsini). 1740 Aug.-1758 May	Benedict XIV (Prosper Lambertini). 1758 July-1769 Feb.	Clement XIII (Carlo Rezzonico). 1769 May-1774 Sept.	Clement XIV (Giovanni V. Antonio Ganganelli). 1775 Feb.-1799 Aug.	Pius VI (Giovan-Angelo Braschi). 1800 Mar.-1823 Aug.	Pius VII (Gregorio Bernabò Chiaramonte). 1823 Sept.-1829 Feb.	Leo XII (Annibale della Genga). 1829 Mar.-1830 Nov.	Pius VIII (Francesco Xavier Castiglione). 1831 Feb.-1846 June	Gregory XVI (Mauro Capellari). 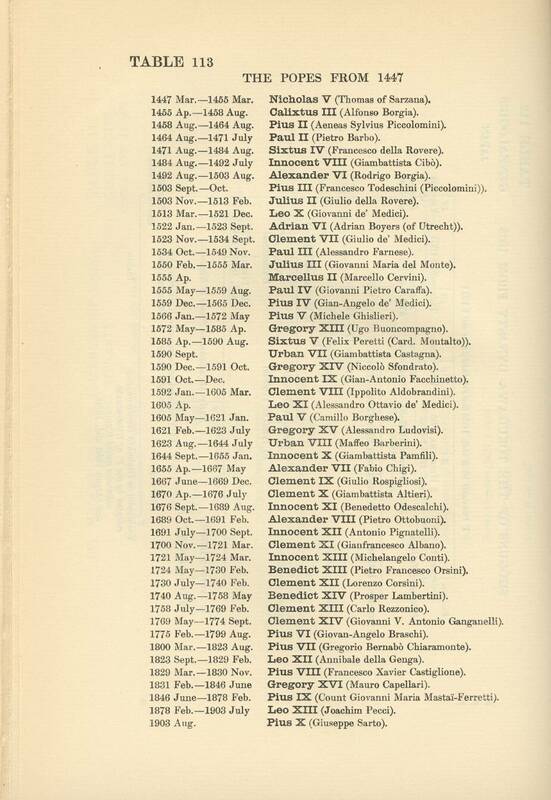 1846 June-1878 Feb.	Pius IX (Count Giovanni Maria Mastaï-Ferretti). 1878 Feb.-1903 July	Leo XIII (Joachim Pecci). 1903 Aug.	Pius X (Giuseppe Sarto). 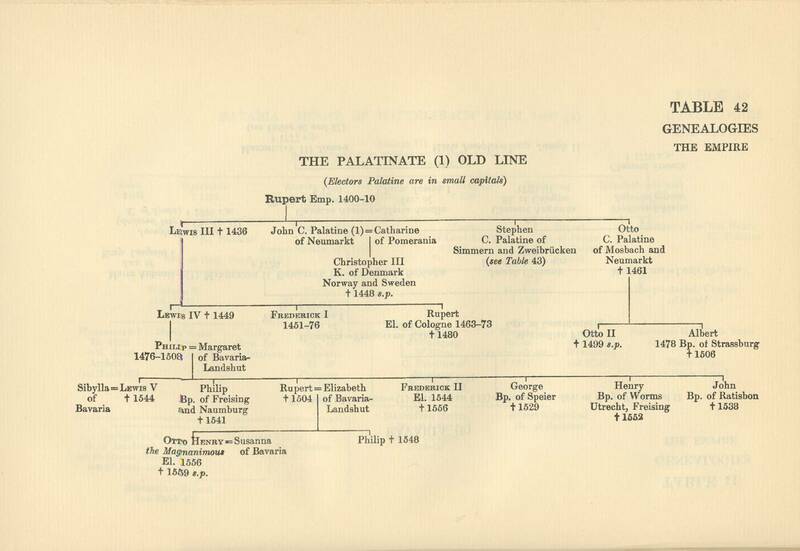 1463	Rupert C. Palatine (48th Abp.). 1480	Hermann IV, son of Lewis I Lgr. of Hesse. 1508	Philip II C. von Daun-Oberstein. 1615	Hermann V C. von Wied, dep. by Paul III 1546, abd. 1547. 1546	Adolphus III C. von Schauenburg. 1556	Antony C. von Schauenburg. 1558	Gebhard I C. von Mansfeld. 1567	Salentin C. von Isenburg, abd. 1577. 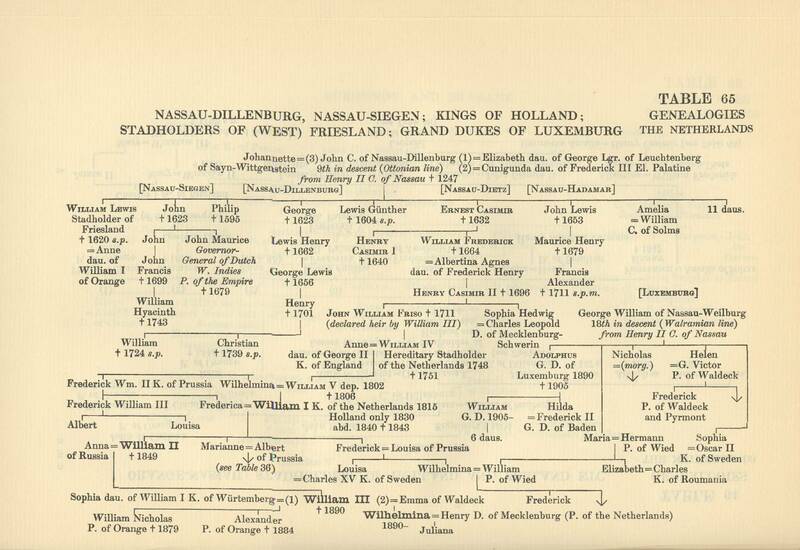 1577	Gebhard II Truchsess von Waldburg, married 1583, dep. by Gregory XIII. 1583	Ernest, son of Albert V D. of Bavaria. 1612	Ferdinand, son of William V D. of Bavaria (Coadjutor from 1595). 1650	Maximilian Henry, son of Albert VI D. of Bavaria. 1688	Joseph Clement, son of Ferdinand Maria El. of Bavaria. 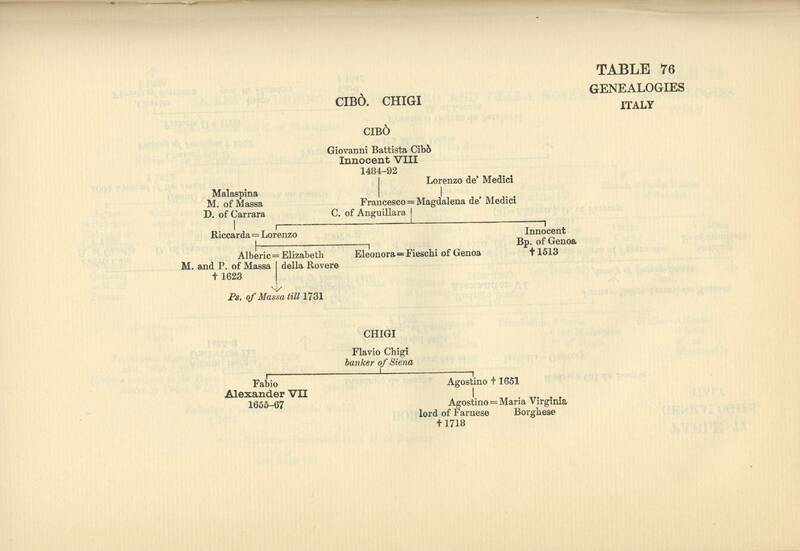 1723	Clement Augustus, son of Maximilian II El. of Bavaria. 1761	Maximilian Frederick C. von Königseck-Rothenfels. 1784	Maximilian, son of Emp. Francis I (Coadjutor from 1780). 1801	Antony Victor, son of Emp. Leopold II. Renounced election. 1434 Dietrich C. of Erbach (54th Abp.). 1459 Diether C. of Isenburg, dep. 1461, aid. 1463. 1461 Adolphus II C. of Nassau. 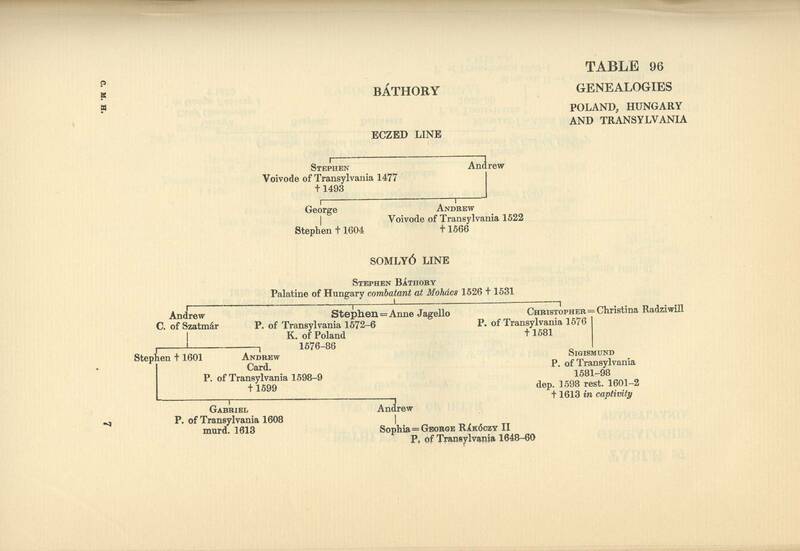 1482 D. Albert of Saxony (son of El. Ernest of Saxony; Coadjutor from 1479). 1484 Berthold C. of Henneberg. 1504 Jacob Frhr. von Liebenstein. 1514 M. Albert of Brandenburg, Abp. of Magdeburg. 1555 Daniel Brendel von Homburg. 1601 John Adam von Bicken. 1604 John Schweikhard von Kronberg. 1626 George Frederick von Greiffenklau zu Vollraths. 1629 Anselm Casimir Wambold von Umstadt. 1647 John Philip von Schönborn, Bp. of Würzburg and Worms. 1673 Lothar Frederick von Metternich, Bp. of Speier and Worms (Coadjutor from 1670). 1676 Damián Hartard von der Leyen, Bp. of Worms. 1679 Charles Henry C. von Metternich (Coadjutor from 1670). 1679 Anselm Francis von Ingelheim. 1695 Lothar Francis von Schonborn, Bp. of Bamberg (Coadjutor from 1694). 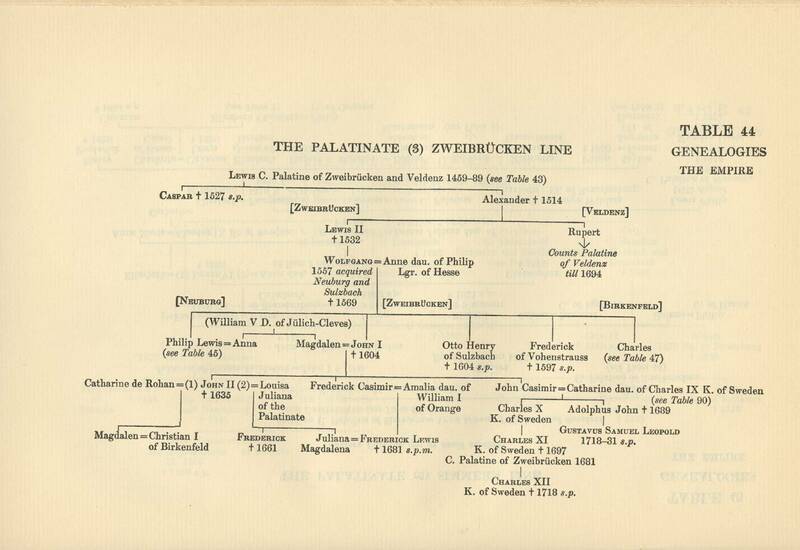 1729 Francis Lewis C. Palatine of Neuburg, Bp. of Breslau and Worms, translated from Trier (Coadjutor from 1710). 1732 Philip Charles Frhr. von Eltz. 1743 John Frederick Charles C. von Ostein, Bp. of Worms 1756. 1763 Emmerich Joseph Frhr. von Breitbach-Büresheim, Bp. of Worms 1768. 1774 Frederick Charles Joseph Frhr. von Erthal, Bp. of Worms. 1802-3 Charles Theodore Frhr. von Dalberg (Coadjutor from 1787), Chancellor of the Empire 1803-6; Abp. of Ratisbon 1805-17; Primas of the Rheinbund 1806-13 ; G. D. of Frankfort 1810-13 ; † 1817. 1439	James I von Sirk. 1456	John II of Baden. 1503	James II M. of Baden. 1511	Richard von Greiffenklau zu Vollraths. 1531	John III von Metzenhausen. 1540	John IV von Hagen. 1547	John V C. von Isenhurg. 1656	John VI von der Leyen. 1567	James III von Eltz. 1581	John VII von Schönenherg. 1623	Philip Christopher von Sötern. 1652	Charles Caspar von der Leyen (Coadjutor from 1650). 1676	John Hugo Frhr. von Orsbeck (Coadjutor from 1672). 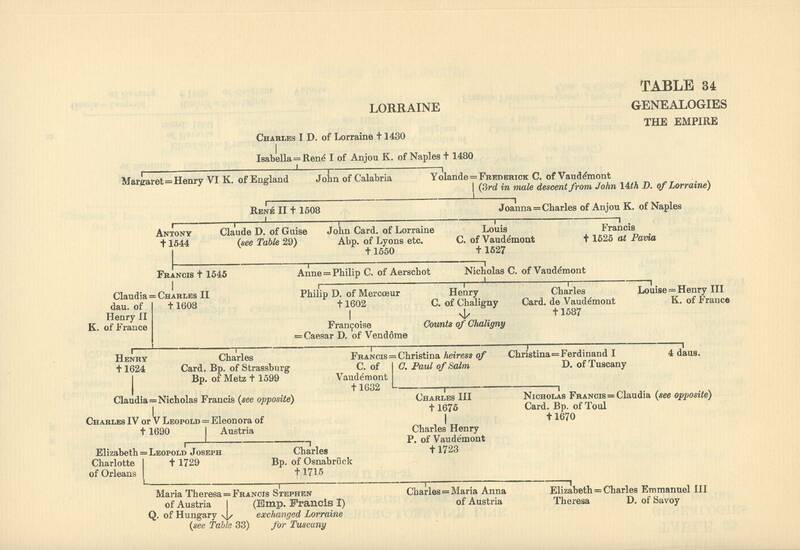 1711	Charles Joseph D. of Lorraine. 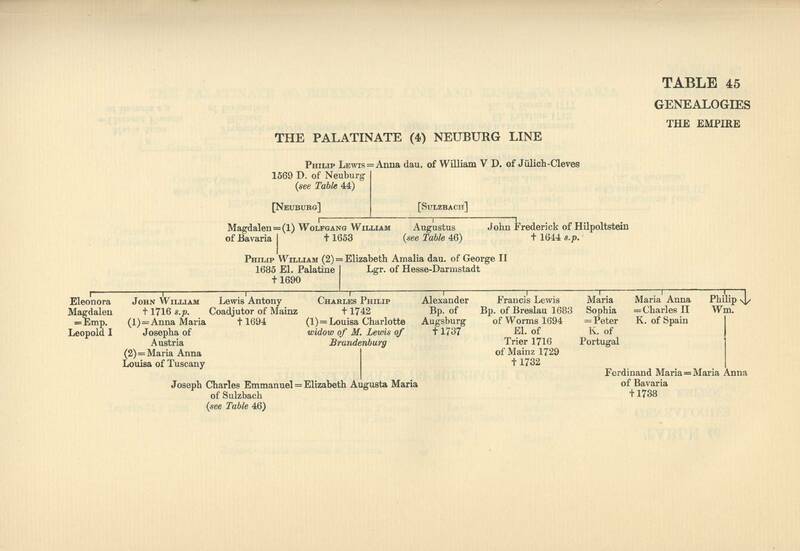 1716	Francis Lewis C. Palatine of Neuburg, translated to Mainz 1729. 1729	Francis George C. von Schönborn. 1756	John Philip Frhr. von Walderdorf. 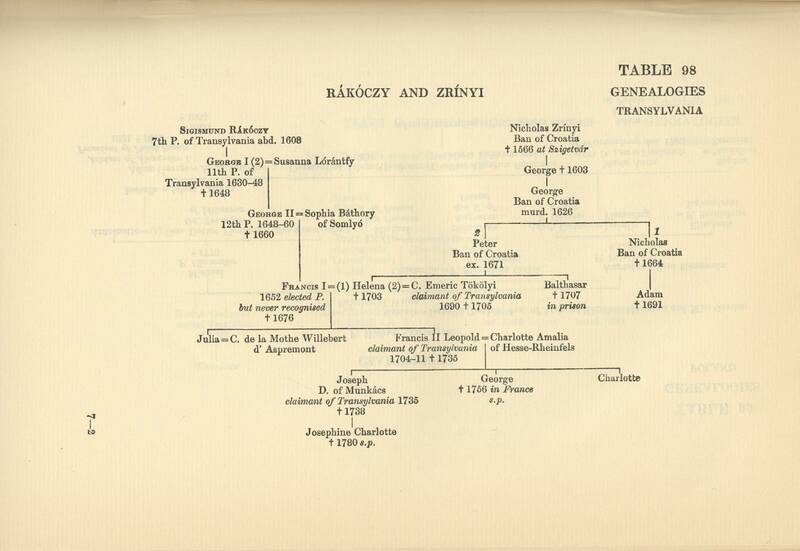 1768	Clement Wenceslaus, son of Frederick Augustus II of Saxony (Augustus III of Poland), abd. 1802. 1454-86	Thomas Bourchier (Bp. of Ely) (65th Abp.). 1486-1500	John Morton (Bp. of Ely) (Card. 1493). 1500-3	Henry Dean (Bp. of Salisbury). 1503-32	William Warham (Bp. of London). 1533-56	Thomas Cranmer (Archdeacon of Taunton). 1556-8	Reginald Pole (Card. 1536). 1559-75	Matthew Parker (Dean of Lincoln). 1576-83	Edmund Grindal (Abp. of York). 1583-1604	John Whitgift (Bp. of Worcester). 1604-10	Richard Bancroft (Bp. of London). 1611-33	George Abbot (Bp. of London). 1633-45	William Laud (Bp. of London) (ex. 1645). 1660-3	William Juxon (Bp. of London). 1663-77	Gilbert Sheldon (Bp. of London). 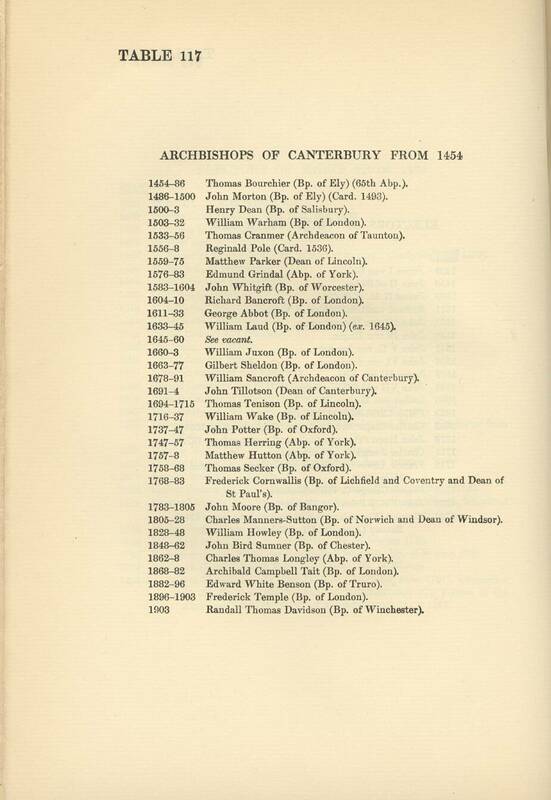 1678-91	William Sancroft (Archdeacon of Canterbury). 1691-4	John Tillotson (Dean of Canterbury). 1694-1715	Thomas Tenison (Bp. of Lincoln). 1716-37	William Wake (Bp. of Lincoln). 1737-47	John Potter (Bp. of Oxford). 1747-57	Thomas Herring (Abp. of York). 1757-8	Matthew Button (Abp. of York). 1758-68	Thomas Seeker (Bp. of Oxford). 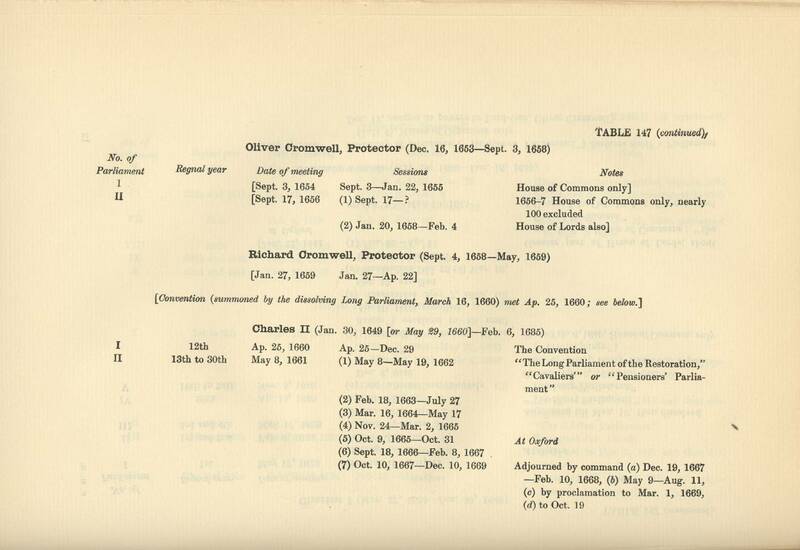 1768-83	Frederick Cornwallis (Bp. of Lichfield and Coventry and Dean of St Paul's). 1783-1805	John Moore (Bp. of Bangor). 1805-28	Charles Manners-Button (Bp. 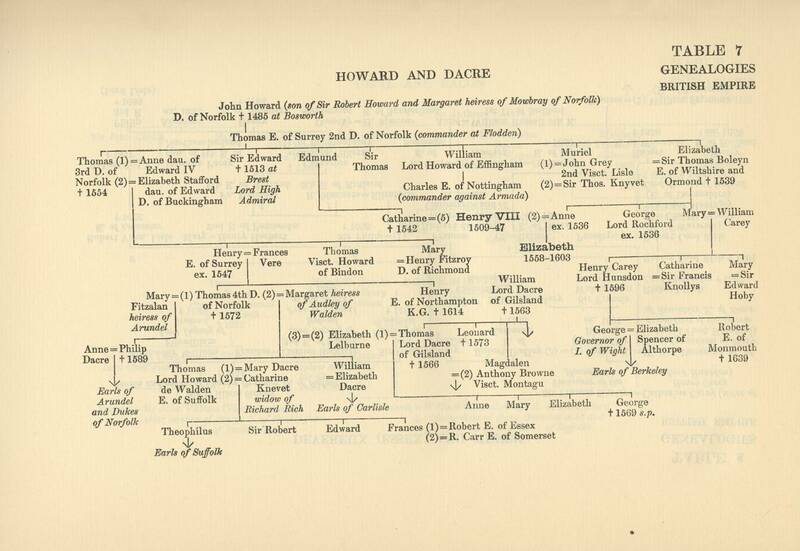 of Norwich and Dean of Windsor). 1828-48	William Howley (Bp. of London). 1848-62	John Bird Sumner (Bp. of Chester). 1862-8	Charles Thomas Longley (Abp. of York). 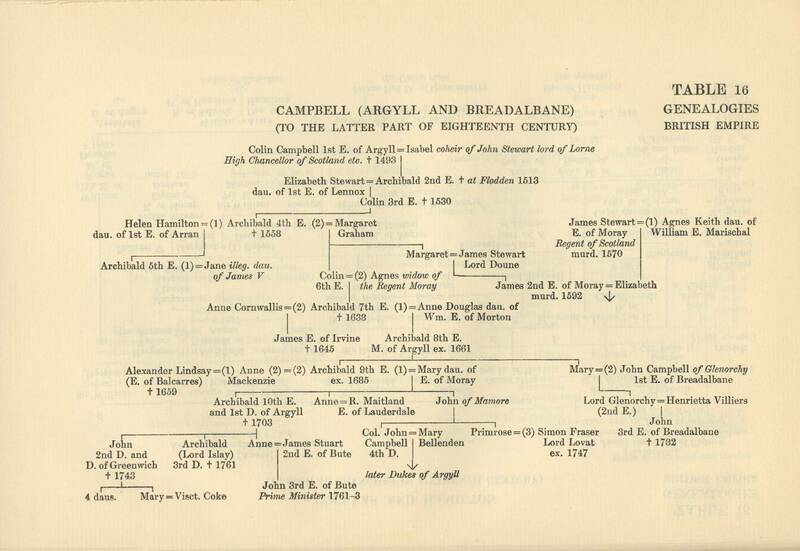 1868-82	Archibald Campbell Tait (Bp. of London). 1882-96	Edward White Benson (Bp. of Truro). 1896-1903	Frederick Temple (Bp. of London). 1903	Randall Thomas Davidson (Bp. of Winchester). 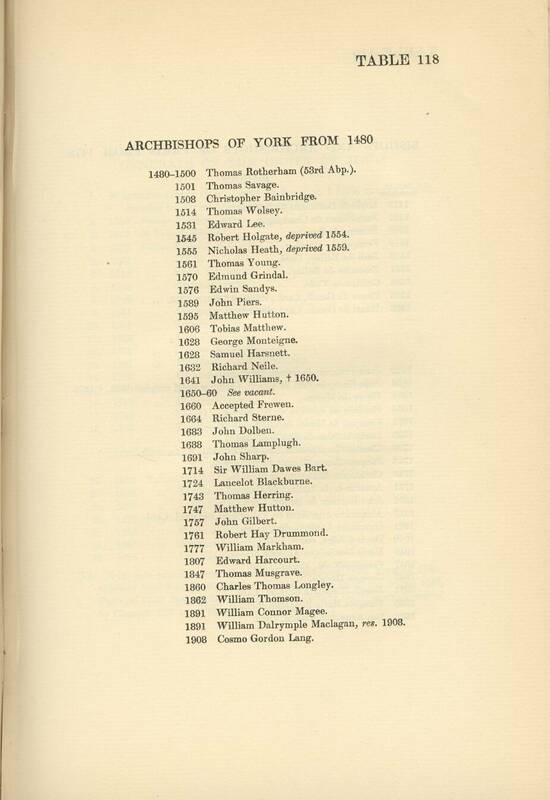 1480-1500	Thomas Rotherham (53rd Abp.). 1545	Robert Holgate, deprived 1554. 1555	Nicholas Heath, deprived 1559. 1641	John Williams, † 1650. 1714	Sir William Dawes Bart. 1891	William Dalrymple Maclagan, res. 1908. 1473	Louis de Beaumont de la Forêt. 1532	Jean du Bellay, Card. 1568	Pierre de Gondi, Card., resigned 1598, † 1616. 1598	Henri de Gondi, Card, de Retz. 1622	Jean-François de Gondi, Card. 1654	Jean-François-Paul de Gondi, Card, de Retz, resigned 1662, † 1679. 1664	Harduin de Péréfixe de Beaumont. 167l	François de Harlai de Champvallon. 1695	Louis-Antoine de Noailles, Card. 1729	Charles-Gaspar-Guillaume de Vintimille du Luc. 1781	Antoine-L.-L. Leclerc de Juigné. 1802	Jean-Baptiste du Belloy, Card. 1817	Alexandre-Angélique de Talleyrand Périgord, Card. 1821	Hyacinthe-Louis C. de Quelen. 1840	Denis d'Affre, murd. 1848. 1908	Leo Augustus Amette, Card. 1. St Ignatius Loyola (Iñigo López de Recalde), † 1556, canonised 1622, founded the Order 1534 (authorised by Paul III 1540). 2. 1556 Father Jacohus Laynez. 3. 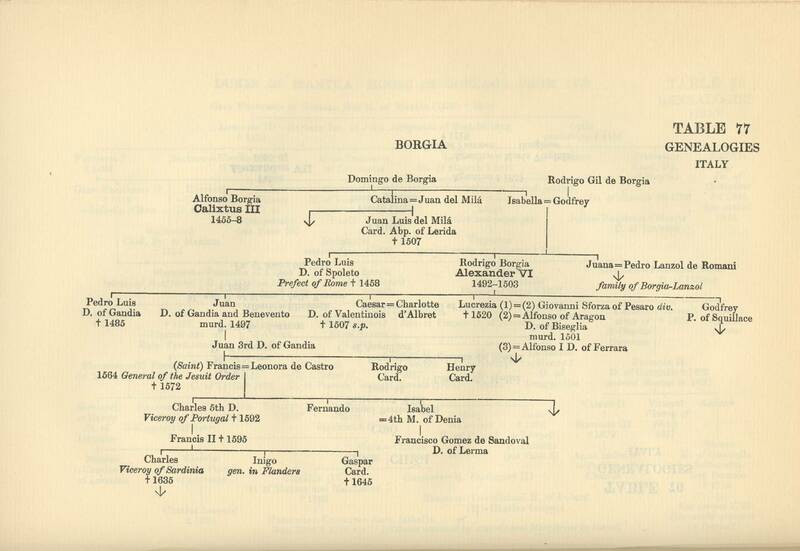 1565 St Francis Borgia. 4. 1572 Father Everard Mercurian. 5. 1581 " Claude Aquaviva. 6. 1615 " Mutio Vitelleschi. 7. 1645 " Vincent Caraffa. 8. 1649 " Francis Piccolomini. 9. 1651 " Alexander Gottifredi. 10. 1662 " Goswin Nickel. 11. 1664 " John Paul Oliva. 12. 1681 " Charles de Noyella. 13. 1687 " Thyrsis Gonzalos de Santalla. 14. 1706 " Michael Angelo Tamburini. 15. 1730 " Francis Retz. 16. 1750 " Ignatius Visconti. 17-	1755 " Louis Centurione. 18. 1758 " Lorenzo Ricci († 1775). 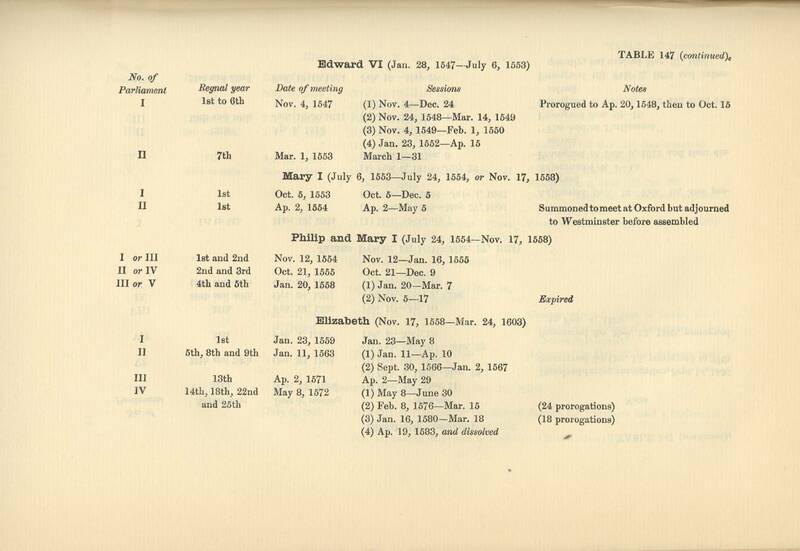 1775-1802 Vacancy. Stanislaus Czerniewicz, Gabriel Lienkiewicz, Francis Xavier Kareu Vicars-general. 19. 1802 Father Gabriel Gruber. 20. 1805 " Thaddeus Brzozowski. 21. 1820 " Louis Fortis. 22. 1829 " Jean Roothaan. 23. 1853 " Pierre-Jean Beckx, retired 1884. 24. 1887 " Antoine Anderledy. 25. 1892 " Luis Martin. 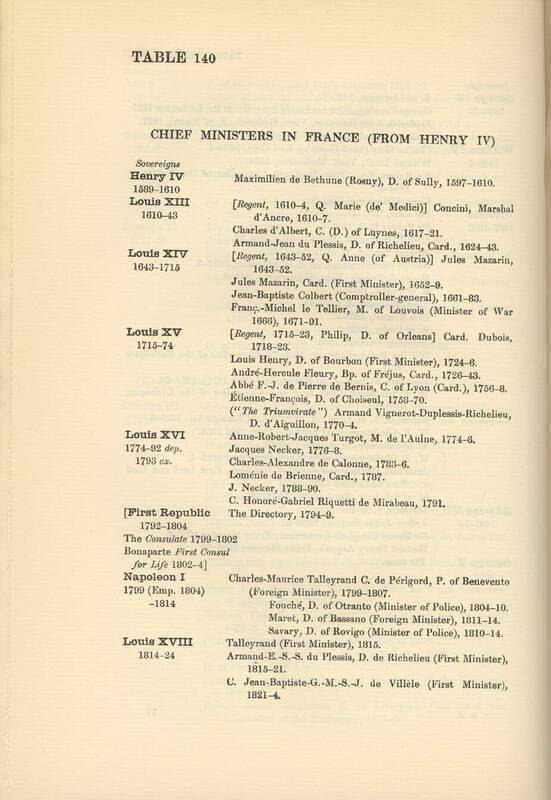 1574	Henry of Valois (Henry III K. of France). 1575	Stephen Báthory, † 1586 s.p. 1587	Sigismund III (K. of Sweden), † 1632. 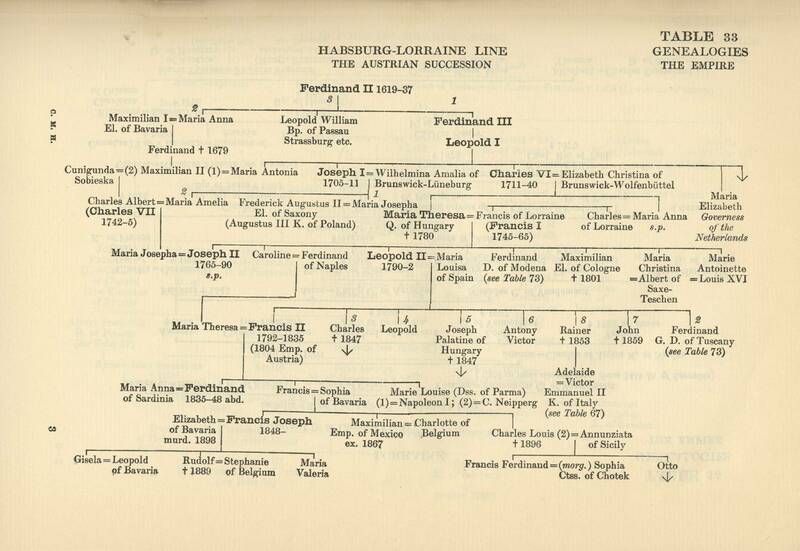 1632	Ladislaus VII, son of Sigismund III, † 1648. 1648	John Casimir V, son of Sigismund III, abd. 1668. 1669	Michael Korybut Wisniowiecki, † 1673. 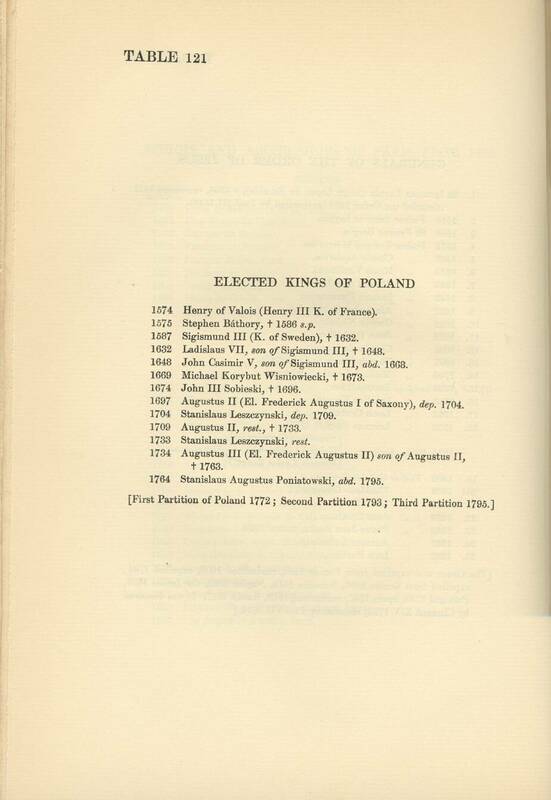 1674	John III Sobieski, † 1696. 1697	Augustus II (El. Frederick Augustus I of Saxony), dep. 1704. 1704	Stanislaus Leszczynski, dep. 1709. 1709	Augustus II, rest., † 1733. 1734	Augustus III (El. Frederick Augustus II) son of Augustus II, † 1763. 1764	Stanislaus Augustus Poniatowski, abd. 1795. 1414	Tommaso Mocenigo (64th Doge). 1789	Ludovico Manin (dep. 1797). Dissolution of the Holy Roman Empire, 1806. Augsburg. 1803 annexed to Bavaria. Bamberg. 1803 annexed to Bavaria. After introduction of Reformation at B. (1529) Bishops reside at Prunstrut. Basel. 1792 see declared itself a Republic. 1793 annexed by French Republic. 1803 territory on right bank of Rhine ceded by France to Baden. 1814 territory on left bank assigned to Switzerland. Brandenburg. Lutheran 1539; territory divided between Elector and local nobility. Bremen (Bremen-Hamburg) (Archbprc.). Lutheran from 1558. 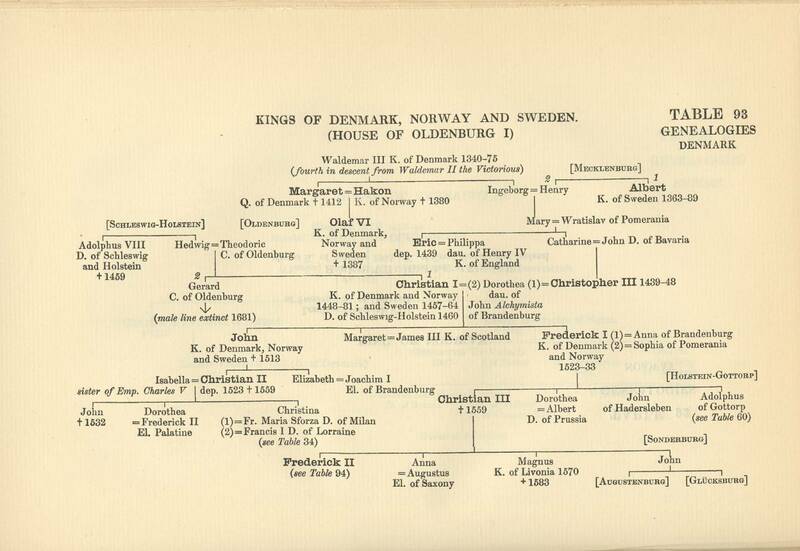 Duchy of Bremen ceded to Sweden 1648 ; 1715 (confirmed, 1719) sold by Denmark to Hanover ; 1866 annexed to Prussia. (a)	Wied-Runkel (annexed 1806 to Nassau, 1815 to Prussia). (c)	Hesse-Darmstadt (annexed 1815 to Prussia). (d)	Aremberg (annexed 1815 to Prussia). Constance. 1803 annexed to Baden. Its dependency Conzenberg in 1803 a fief of the Empire, 1806 annexed to Wurtemberg. Eichstedt. 1803 created a principality for Archd. Ferdinand (as compensation for Tuscany). 1805-6 annexed to Bavaria. Freisingen. 1803 annexed to Bavaria. Halberstadt. 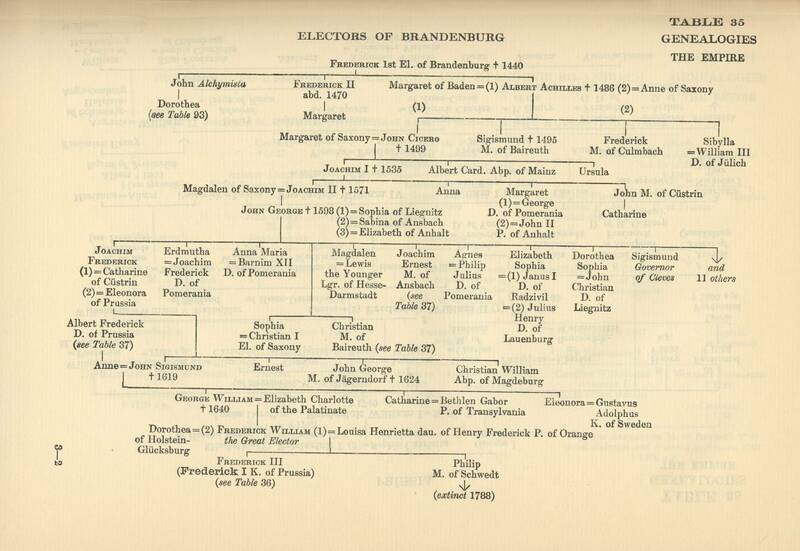 1486-1566 united with Magdeburg: 1648 annexed to Brandenburg : 1807 to kingdom of Westphalia ; 1815 to Prussia. Havelberg. 1548 practically annexed to Brandenburg. Hildesheim. 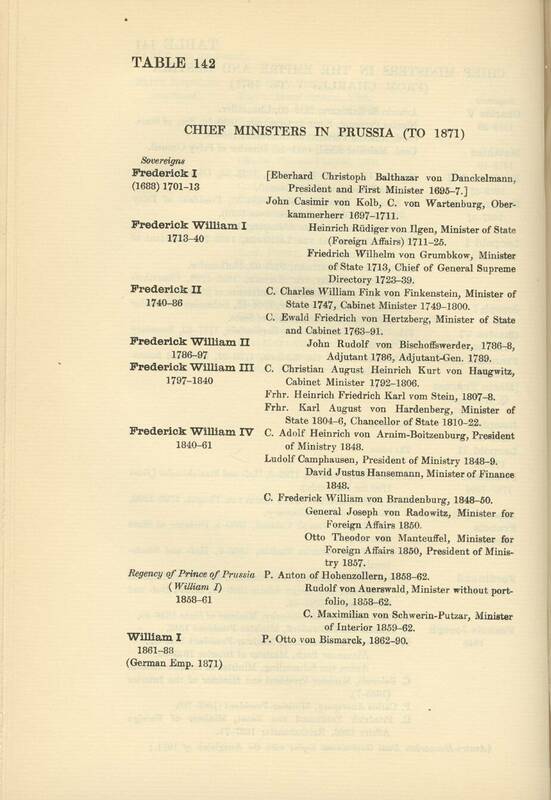 1803 annexed to Prussia: 1807 to Westphalia : 1813 to Hanover: 1866 to Prussia. Liege. 1801 annexed by France : 1815 transferred to Netherlands as principality of Liege. Lübeck. 1803 annexed to Oldenburg : 1842 to Holstein (in exchange). Magdeburg (Archbprc.). 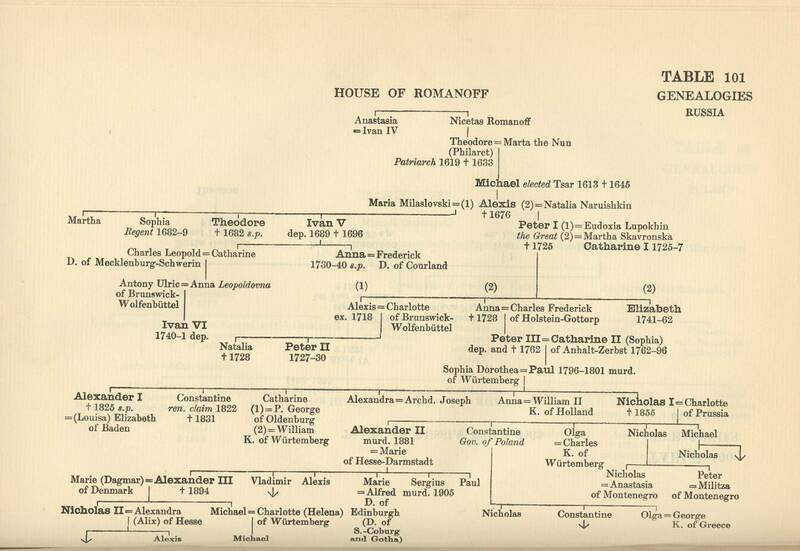 After 1566 administered by temporal princes of Brandenburg or Saxony. 1648 annexed to Brandenburg on death of D. Augustus of Saxony (took effect 1680). Mainz (Archbpre.). 1801 territory on left bank of Rhine annexed to France : later, divided between Hesse-Darmstadt and Rhenish Prussia. 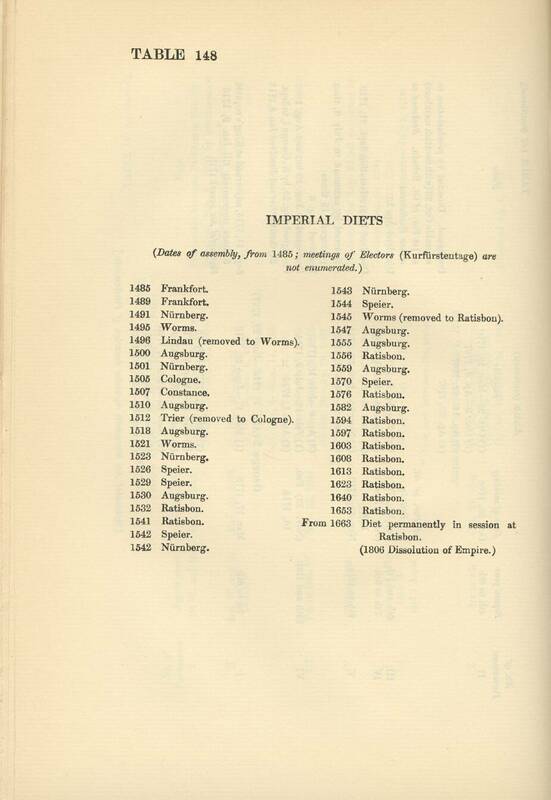 1803 the remainder (in exchange for compensatory dominions) ceded by the Imperial Chancellor and divided amongst: Hesse-Cassel, Hesse-Darmstadt, Nassau-Usingen, Leiningen, Löwenstein-Wertheim, Salm-Reifferscheid-Bedbur, and Prussia, which in 1866 acquired the shares assigned to Hesse-Cassel and Nassau-Usingen, and a portion of that of Hesse-Darmstadt. Meissen. Protestant from 1580. Merged in the Meissen Circle and united with Saxony. Merseburg. Protestant from 1561. 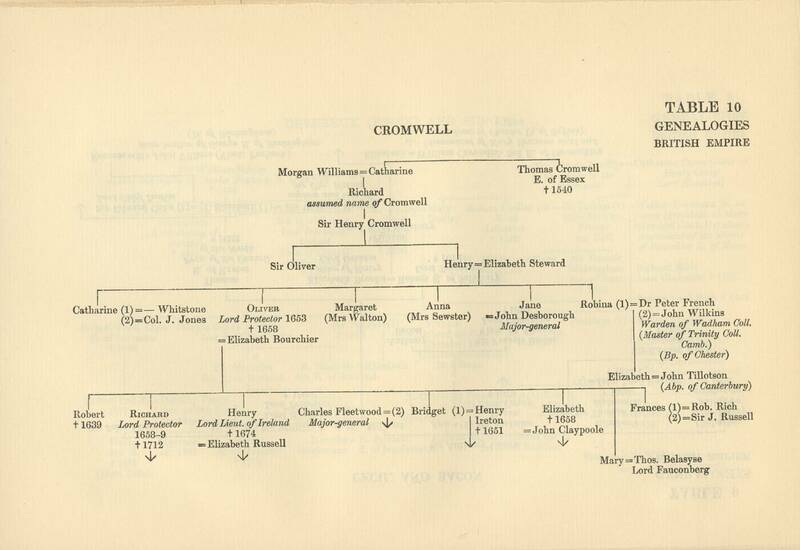 Administered by Christian, 3rd son of John George I, El. of Saxony. Saxon principality, united with the Electorate 1738. Ceded to Prussia 1815. Metz. 1648 formally ceded to France. Secularised in French Revolution. 1871 part of territory ceded to Germany. Minden. 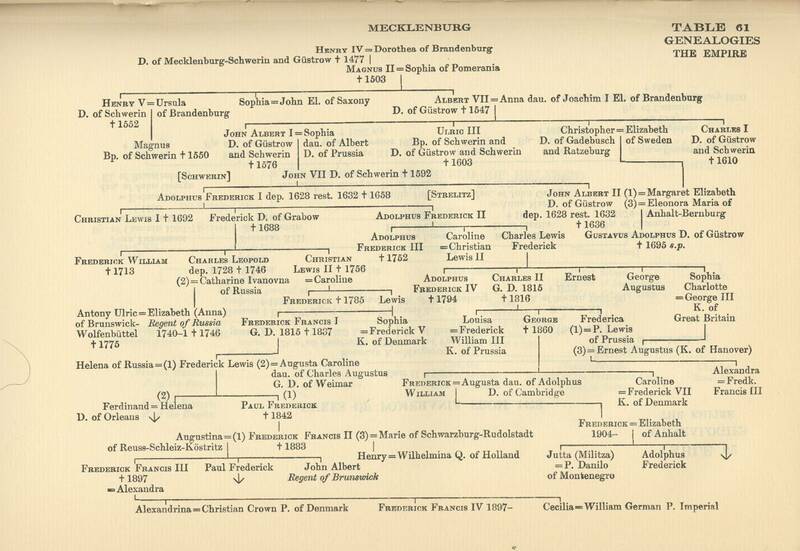 1648 annexed to Brandenburg : 1807 to Westphalia ; 1810 to the French Empire ; 1813 to Prussia. Münster. 1719-1803 united with Archbpre. 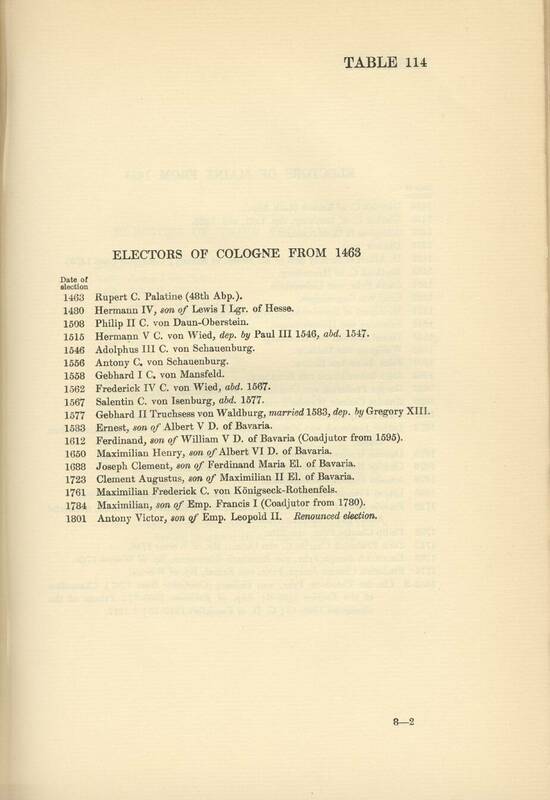 of Cologne ; 1803, and again 1813, to Prussia. Naumburg-Zeitz. Protestant from 1564. 1662 Saxon principality for Maurice, 4th son of John George I. 1718 united with Electorate. 1815 greater part ceded to Prussia. Osnabrück. 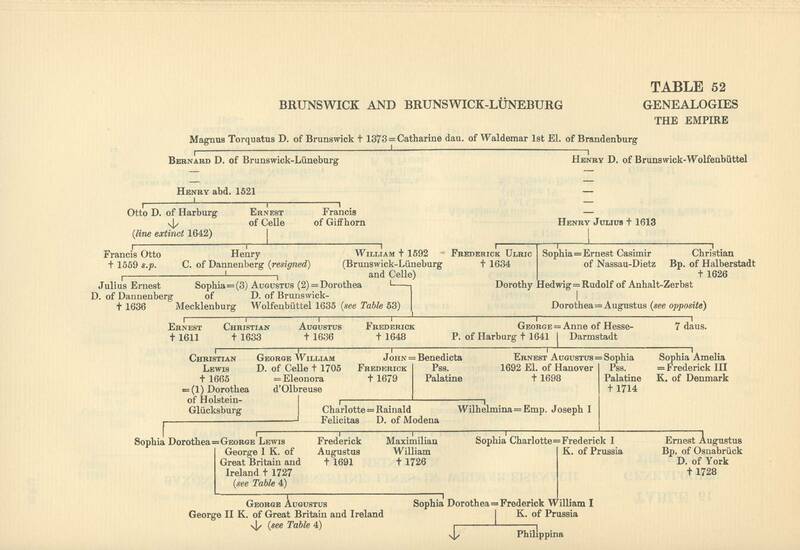 From 1648 the Bishop was alternately Roman Catholic and Protestant ; the latter always of the House of Brunswick-Lüneburg. 1803 annexed to Hanover: 1806 to Prussia: 1807 to Westphalia: 1810 to the French Empire : 1814 to Hanover : 1866 to Prussia. Paderborn. 1802 annexed to Prussia : confirmed 1803. Passau. 1803 Western and lesser portion annexed to Bavaria, Eastern and larger to Electorate of Salzburg, for the Grand Duke of Tuscany. 1805 the whole to Bavaria. Ratisbon. 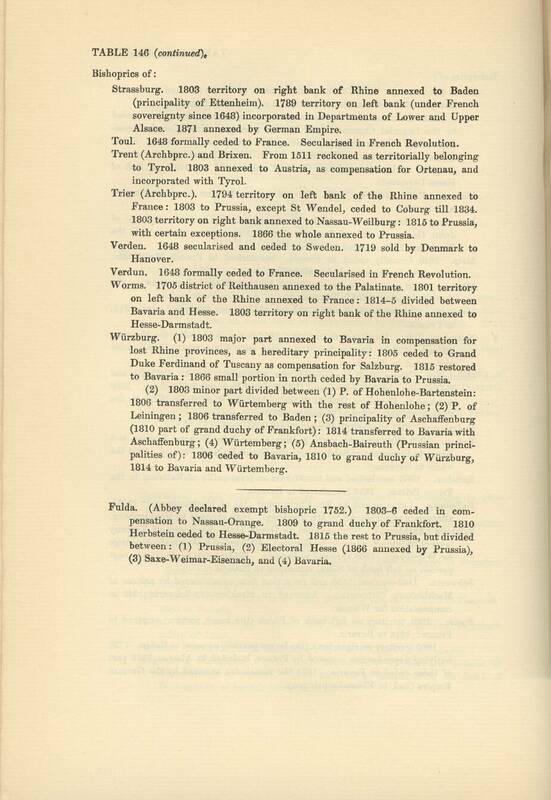 1803 secularised and transferred as principality of Ratisbon to the Prince Primas. 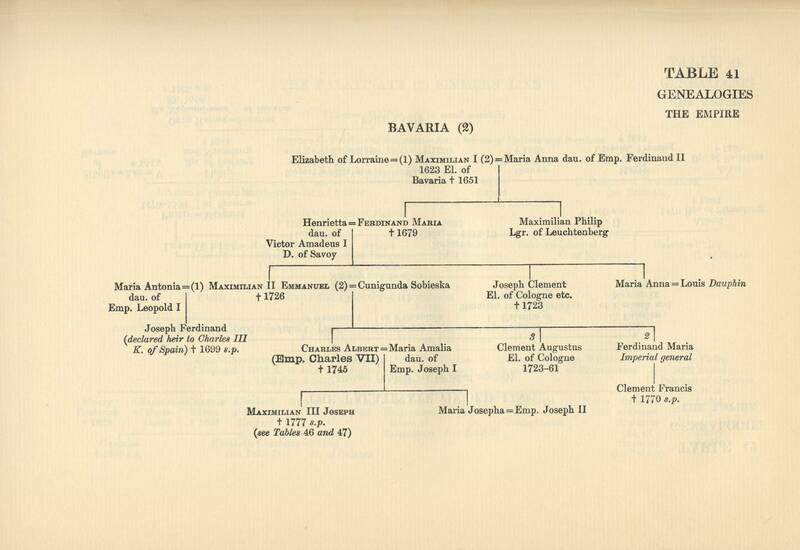 1810 transferred to Bavaria. Ratzeburg. Lutheranised by Bp. 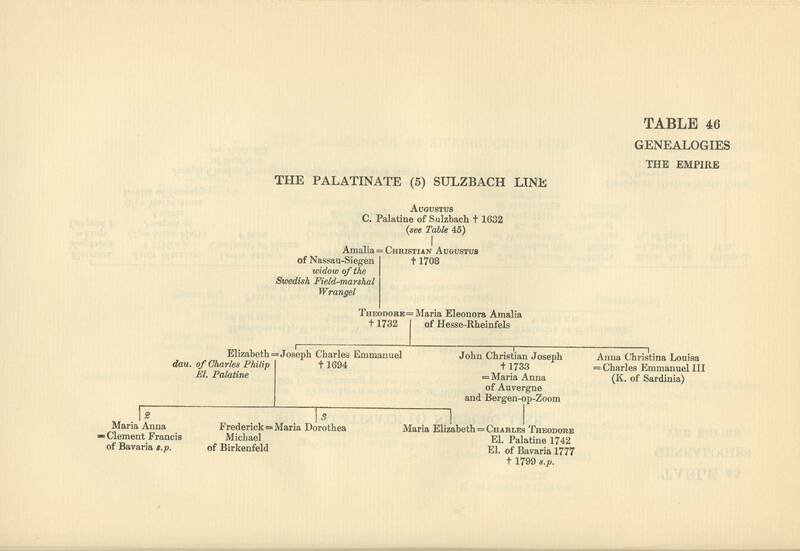 Christopher (II) of Mecklenburg (t 1592), afterwards administered by Mecklenburg. 1648 annexed to Mecklenburg. Salzburg (Archbprc.). 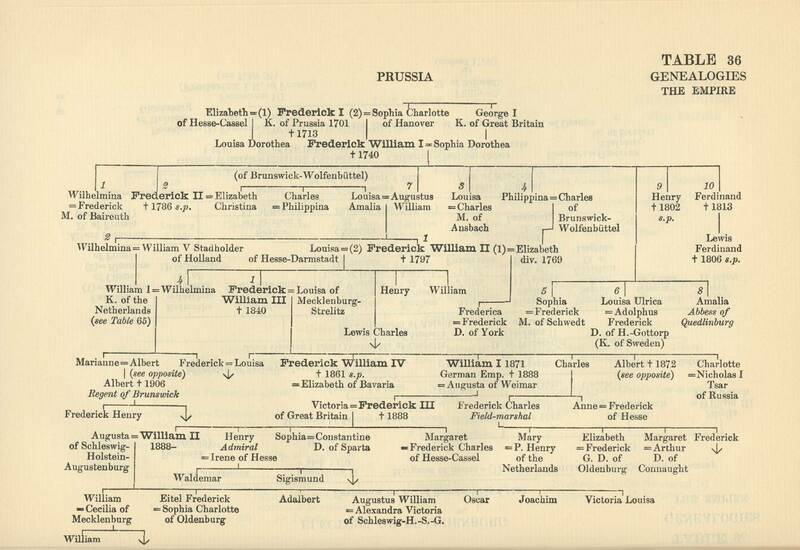 1802 assigned to Grand Duke Ferdinand of Tuscany (except Mühldorf, annexed to Bavaria). 1805 ceded to Austria in exchange for Würzburg. 1809 annexed to Bavaria. 1814 reverts to Austria except portion on left bank of Salza, remaining to Bavaria. Schwerin. Lutheranised 1530 and from that date administered by princes of Mecklenburg (Schwerin). Annexed to Mecklenburg-Schwerin 1648 as compensation for Wismar. Speier. 1801 territory on left bank of Rhine (the lesser portion) annexed to France : 1814 to Bavaria. 1803 territory on right bank (the larger portion) annexed to Baden. 1789 outlying dependencies annexed by France, included in Alsace : 1815 part of these ceded to Bavaria. 1871 the remainder annexed by the German Empire (incl. in Elsass-Lothringen). Strassburg. 1803 territory on right bank of Rhine annexed to Baden (principality of Ettenheim). 1789 territory on left bank (under French sovereignty since 1648) incorporated in Departments of Lower and Upper Alsace. 1871 annexed by German Empire. Toul. 1648 formally ceded to France. Secularised in French Revolution. Trent (Archbprc.) and Brixen. From 1511 reckoned as territorially belonging to Tyrol. 1803 annexed to Austria, as compensation for Ortenau, and incorporated with Tyrol. Trier (Archbprc.). 1794 territory on left bank of the Rhine annexed to France: 1803 to Prussia, except St Wendel, ceded to Coburg till 1834. 1803 territory on right bank annexed to Nassau-Weilburg : 1815 to Prussia, with certain exceptions. 1866 the whole annexed to Prussia. Verden. 1648 secularised and ceded to Sweden. 1719 sold by Denmark to Hanover. Verdun. 1648 formally ceded to France. Secularised in French Revolution. Worms. 1705 district of Reithausen annexed to the Palatinate. 1801 territory on left bank of the Rhine annexed to France: 1814-5 divided between Bavaria and Hesse. 1803 territory on right bank of the Rhine annexed to Hesse-Darmstadt. Würzburg, (1) 1803 major part annexed to Bavaria in compensation for lost Rhine provinces, as a hereditary principality: 1805 ceded to Grand Duke Ferdinand of Tuscany as compensation for Salzburg. 1815 restored to Bavaria : 1866 small portion in north ceded by Bavaria to Prussia. 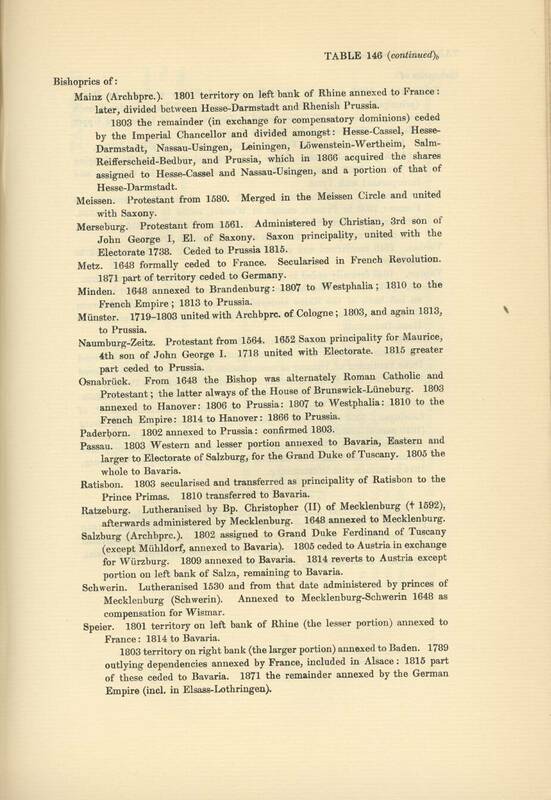 (2) 1803 minor part divided between (1) P. of Hohenlohe-Bartenstein: 1806 transferred to Wurtemberg with the rest of Hohenlohe ; (2) P. of Leiningen ; 1806 transferred to Baden ; (3) principality of Aschaffenburg (1810 part of grand duchy of Frankfort) : 1814 transferred to Bavaria with Aschaflenburg; (4) Wurtemberg; (5) Ansbach-Baireuth (Prussian principalities of): 1806 ceded to Bavaria, 1810 to grand duchy of Würzburg, 1814 to Bavaria and Wurtemberg. Fulda. (Abbey declared exempt bishopric 1752.) 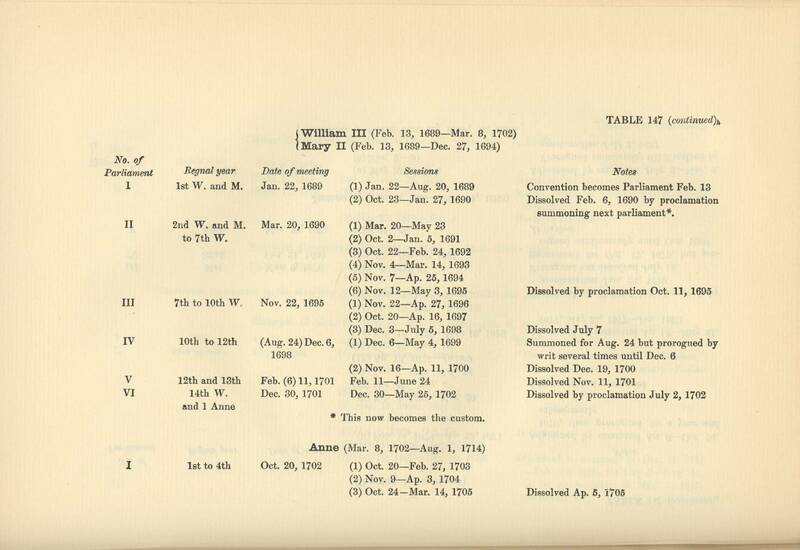 1803-6 ceded in compensation to Nassau-Orange. 1809 to grand duchy of Frankfort. 1810 Herbstein ceded to Hesse-Darmstadt. 1815 the rest to Prussia, but divided between : (1) Prussia, (2) Electoral Hesse (1866 annexed by Prussia), (3) Saxe-Weimar-Eisenach, and (4) Bavaria. 1496 Lindau (removed to Worms). 1512 Trier (removed to Cologne). 1545 Worms (removed to Ratisbon). From 1663 Diet permanently in session at Ratisbon. 1520	Field of the Cloth of Gold (Henry VIII and Francis I). 1530	Conference of Bologna (Charles V and Clement VII). 1532	Second Conference of Bologna (Charles V and Clement VII). 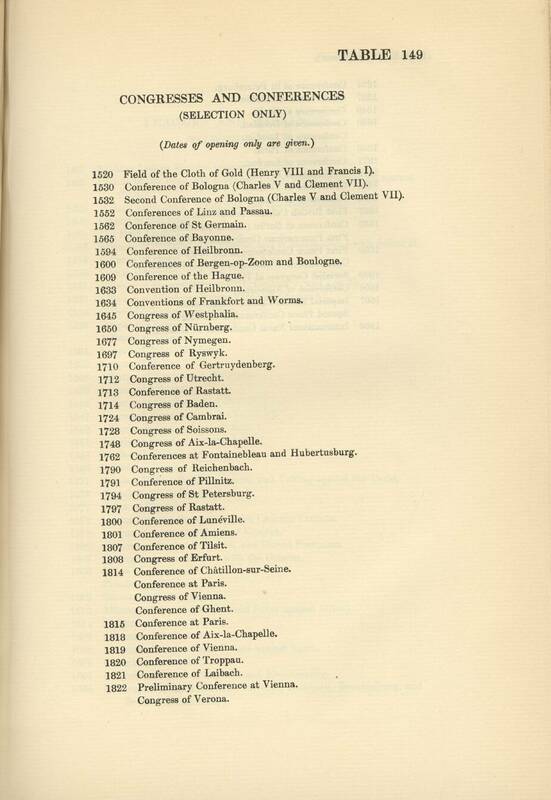 1552	Conferences of Linz and Passau. 1562	Conference of St Germain. 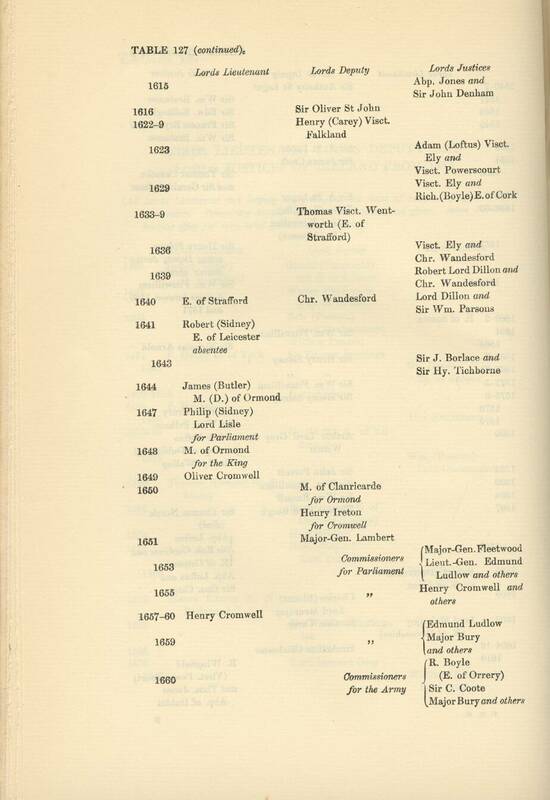 1600	Conferences of Bergen-op-Zoom and Boulogne. 1609	Conference of the Hague. 1634	Conventions of Frankfort and Worms. 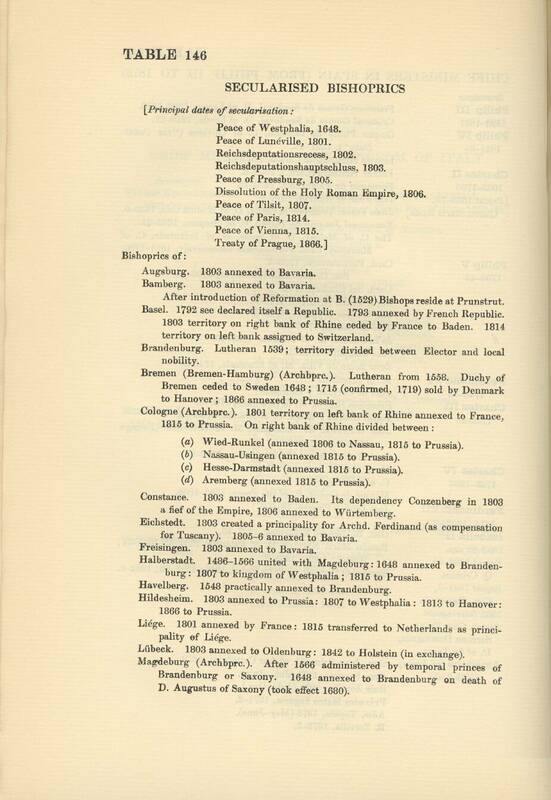 1762	Conferences at Fontainebleau and Hubertusburg. 1794	Congress of St Petersburg. 1822	Preliminary Conference at Vienna. 1824 Conference of St Petersburg. 1887 First British Colonial Conference. 1889 Conference at Berlin (Samoa question). 1899 First Peace Conference at the Hague. Conference at Washington (Alaska Boundary). 1900 Socialist Congress at Paris. 1907 Imperial British Colonial Conference. Second Peace Conference at the Hague. 1908 International Naval Conference at London. 1487	Swabian League founded (renewed 1512). 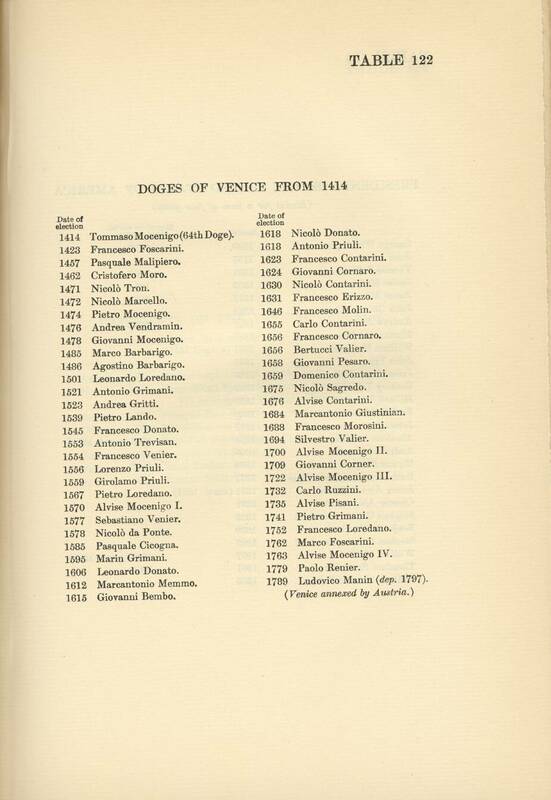 1495	League of the Pope, the Emperor, Spain, Milan, and Venice against	France. 1512	Alliance of Scotland with France, and of Maximilian I with. Julius II. 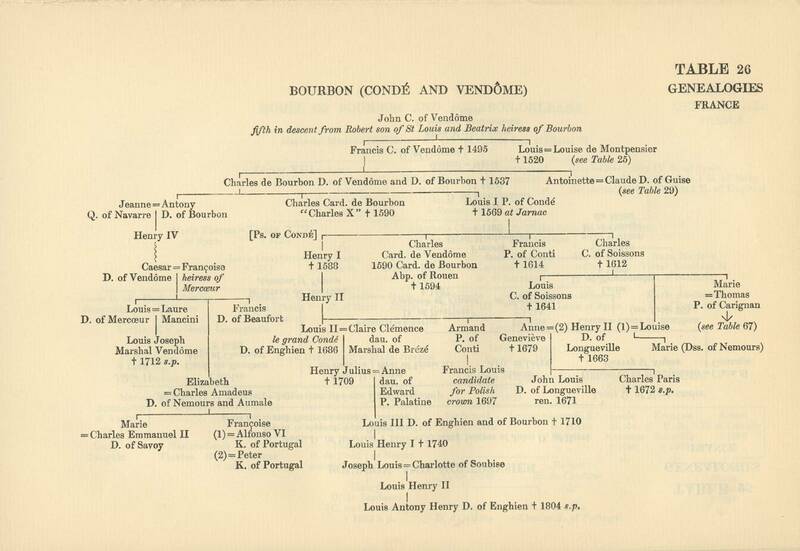 1514	Alliance of Henry VIII and Louis XII. 1516	French Concordat with the Papacy. 1521	Alliance of Bruges (Henry VIII, Charles V, and Leo X). 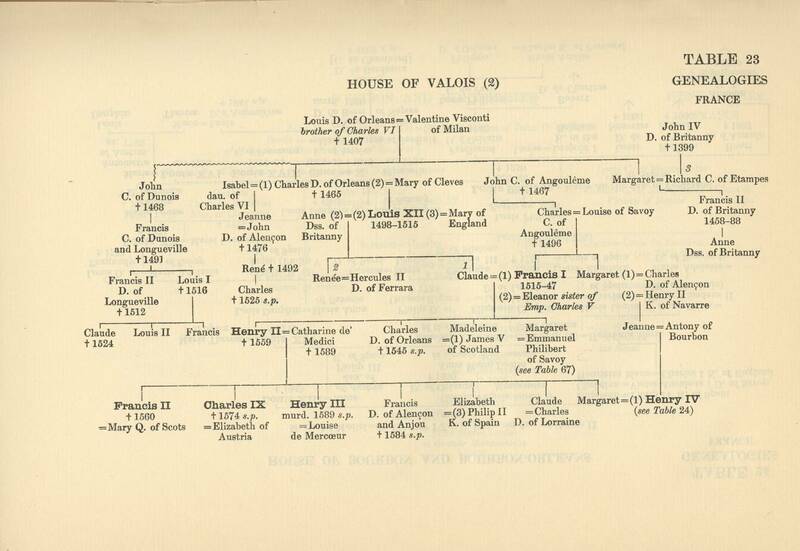 1522	Alliance of Windsor (Henry VIII and Charles V). 1524	Catholic Alliance of Ratisbon. 1536	Alliance of France and the Porte. 1546	Alliance of Charles V and Paul III. 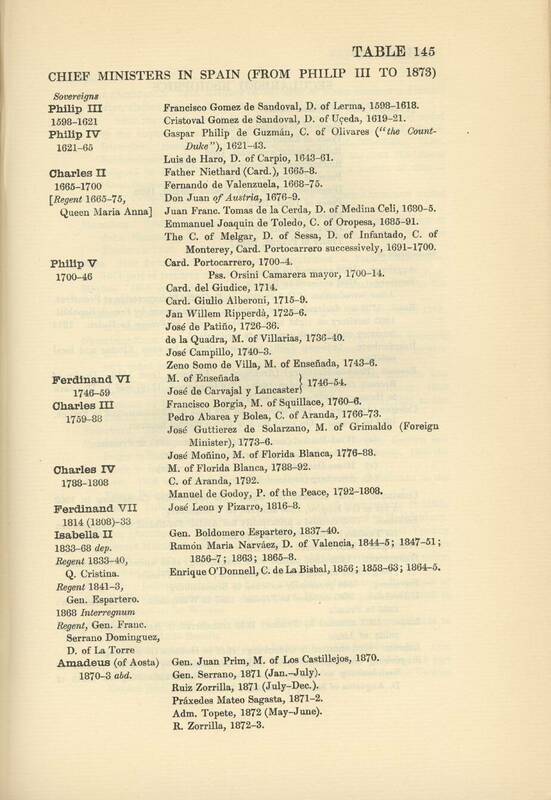 1547	League of Princes (against Charles V). 1548	Alliance of Scotland and France. 1571	Triple Alliance (the Pope, Spain, and Venice) against the Turks. 1576	French Catholic League formed. 1578	League between Savoy and Swiss Catholic Cantons. 1579	League of Arras and Union of Utrecht. 1596	Alliance of England, France, and United Provinces. 1607	Franco-Venetian Alliance with the Grisons. 1610	Alliance of Brosolo (France and Savoy against Milan). 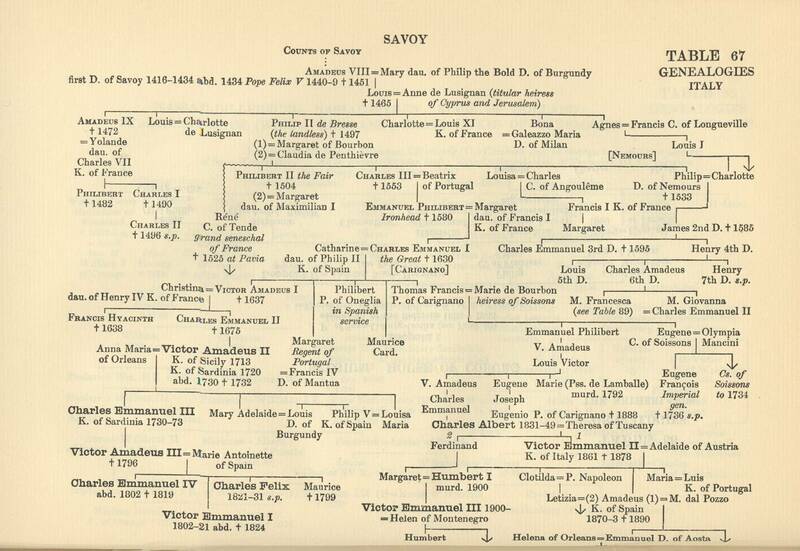 1614	League of French Princes. 1656	Alliance of England and France against Spain. 1658	Confederation of the Rhine. 1661	Defensive alliance of England and Brandenburg. 1666	Quadruple Alliance (United Provinces, Denmark, Brandenburg, and	Brunswick-Lüneburg). 1668 Triple Alliance (England, United Provinces, and Sweden) against France. 1670 Secret Alliance between Louis XIV and Charles II. 1684 The Holy League (the Emperor, Poland, and Venice) against the Turks. 1685 Alliance of Brandenburg and the United Provinces. 1686 Alliance of Brandenburg and the Emperor. 1699 Alliance of Denmark, Poland, and Russia against Sweden. 1707 " Perpetual " Alliance of Sweden and Prussia. 1709 Alliance of Denmark, Poland, and Russia against Sweden. 1715 Alliance of Great Britain, Russia, Denmark, and Prussia against Sweden. 1717 Triple Alliance (France, Great Britain, and United Provinces). 1718 Quadruple Alliance (the same and the Emperor). 1725 First Vienna Alliance (Spain, the Emperor, and the Empire; 1726 joined by Russia). Alliance of Hanover (Great Britain, France and Prussia ; 1726 joined by United Provinces ; 1727 joined by Sweden and Denmark). 1733 First Bourbon Family Compact. 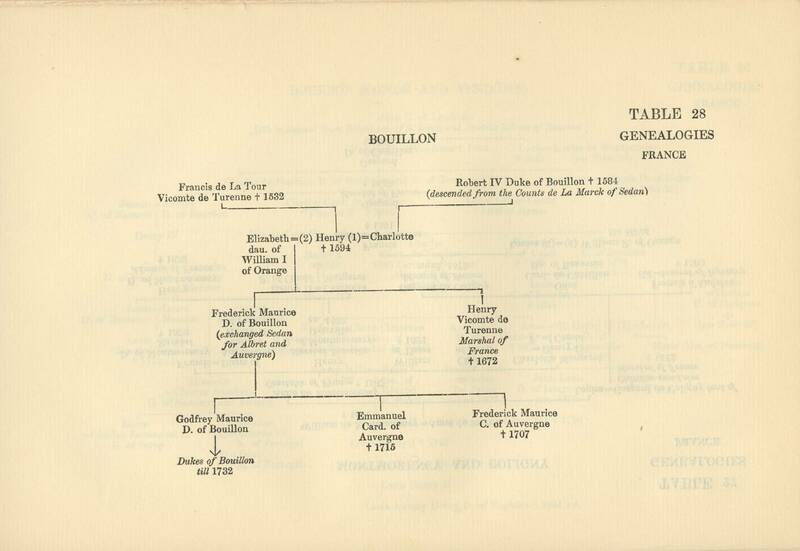 1743 Alliance of Fontainebleau (Second Bourbon Family Compact). 1744 Secret Alliance between Prussia and France. Union of Frankfort. 1745 Alliance of Austria and Russia. 1746 Alliance of France and Sardinia. Alliance of Denmark and France. Defensive Alliance of Versailles (second Treaty 1757). 1761 Third Bourbon Family Compact. 1773 Alliance of France and Sweden. 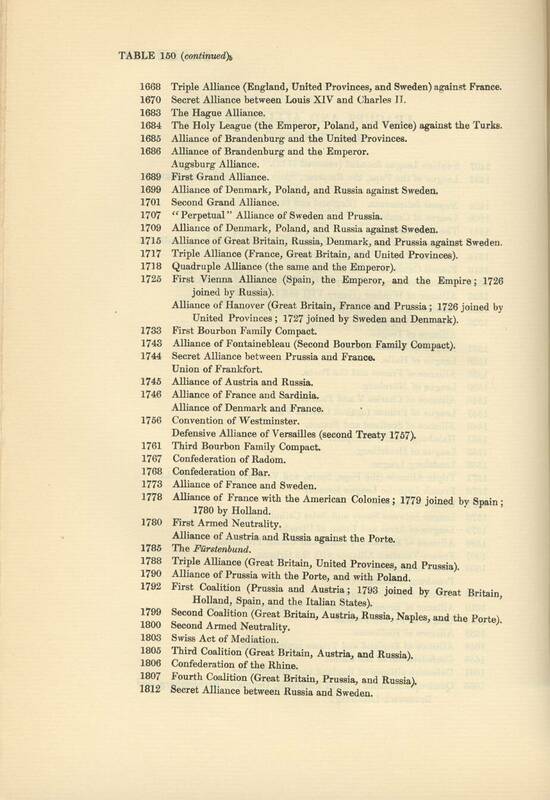 1778 Alliance of France with the American Colonies ; 1779 joined by Spain ; 1780 by Holland. Alliance of Austria and Russia against the Porte. 1788 Triple Alliance (Great Britain, United Provinces, and Prussia). 1790 Alliance of Prussia with the Porte, and with Poland. 1792 First Coalition (Prussia and Austria; 1793 joined by Great Britain, Holland, Spain, and the Italian States). 1799 Second Coalition (Great Britain, Austria, Russia, Naples, and the Porte). 1803 Swiss Act of Mediation. 1805 Third Coalition (Great Britain, Austria, and Russia). 1806 Confederation of the Rhine. 1807 Fourth Coalition (Great Britain, Prussia, and Russia). 1812 Secret Alliance between Russia and Sweden. 1813 Alliance between Russia and Prussia. 1814 Quadruple Alliance of Chaumont. Congress of Vienna. 1815 Defensive Triple Alliance of Great Britain, Austria, and France. Alliance of the Eight Powers. Renewal of Quadruple Alliance of Chaumont. 1818 Renewal of Quadruple Alliance of Chaumont. 1833 Secret Alliance of Austria, Prussia, and Russia. 1849 The Dreikönigsbündniss (Prussia, Saxony, Hanover) and Union. 1850 The Germanic Confederation revived. 1851 Secret Alliance between Austria and Prussia. 1854 Alliance of Great Britain and France (1855 joined by Sardinia). 1863 Alliance of South American States against Spain. 1866 Alliance of Italy and Prussia. 1872 The Dreikaiserbund (1884 renewed). 1876 Alliance between Servia and Bulgaria. 1879 Secret Defensive Alliance between Germany and Austria. 1882 Triple Alliance (Germany, Austria, and Italy ; renewed quinquennially since). 1895 Alliance between France and Russia. 1902 Alliance between Great Britain and Japan (1905 amplified). Manchester, Victoria U., 1880 (1903). Belfast, Queen's U. of, 1909. Ireland, National U. of, 1910. Copenhagen 1479 (1639 and 1788). San Jago di Compostella 1532.